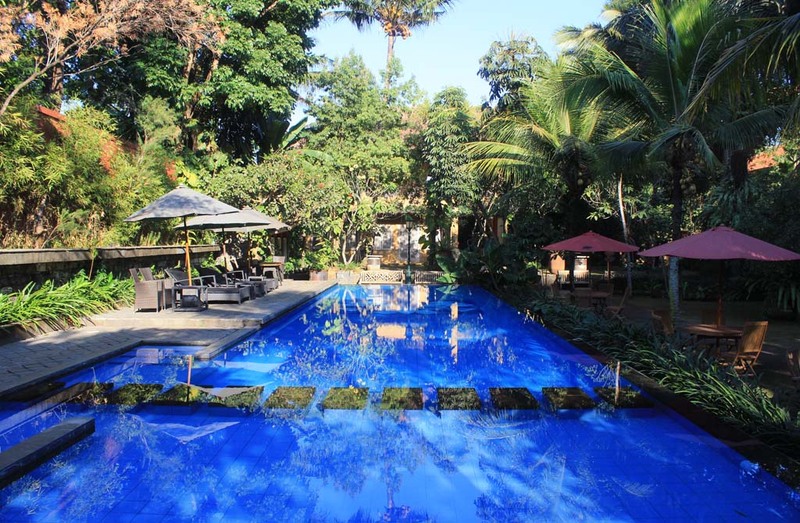 It was a beautiful sunny Saturday morning…..
After a restful night sleep, I would like to spend time exploring the hotel’s scenic garden. 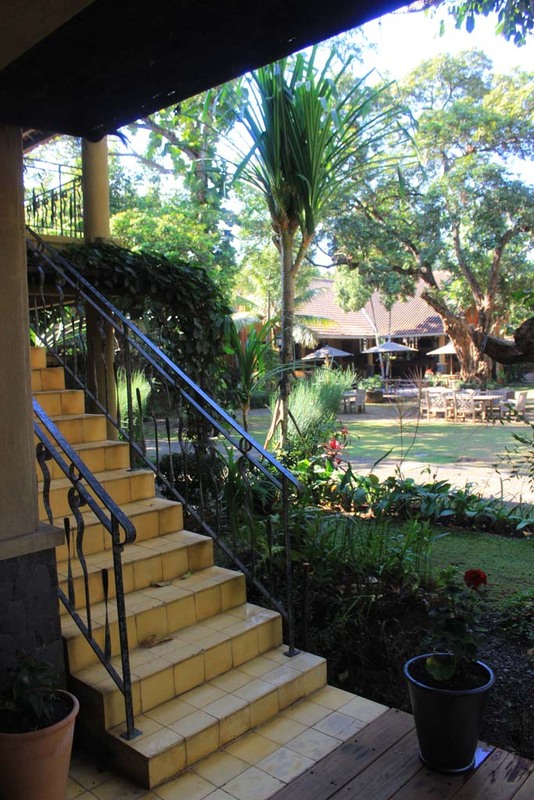 I have to say that the architect who designed the hotel must have a good taste of landscaping. 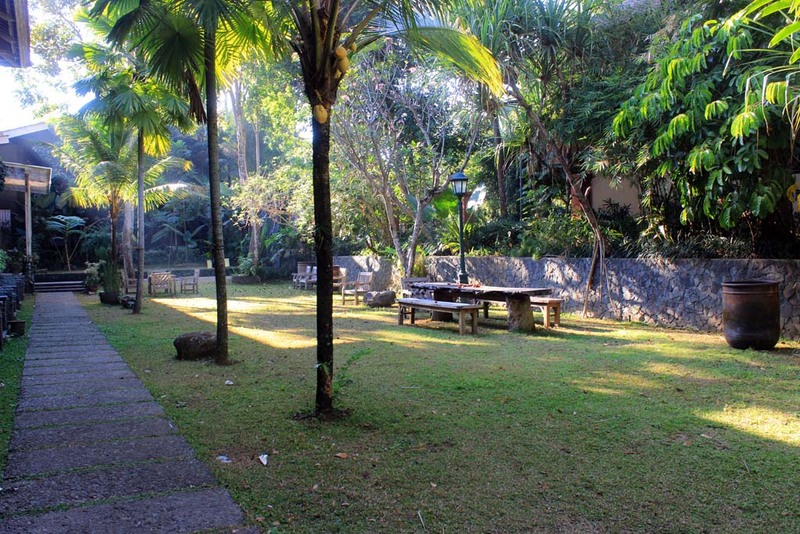 The garden’s serenity occasionally broken by passing employees who do cleaning, or just customers who wants to have breakfast. I went to the swimming pool just to look around. 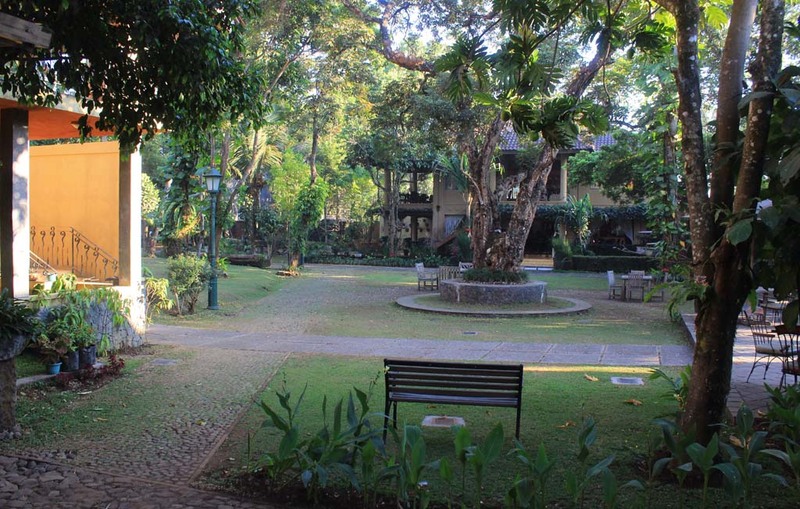 It’s so quiet and peaceful there. 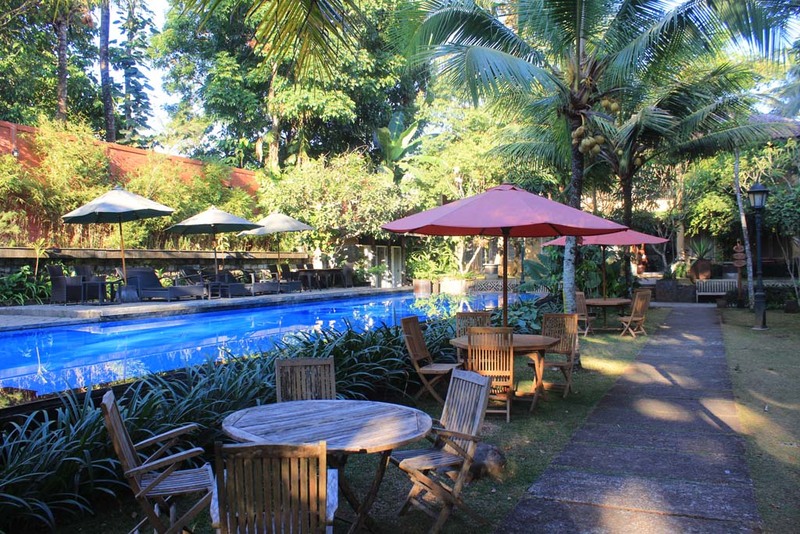 Behind the pool area, there are additional rooms. Judging by their size, I assume that these are more luxurious rooms. 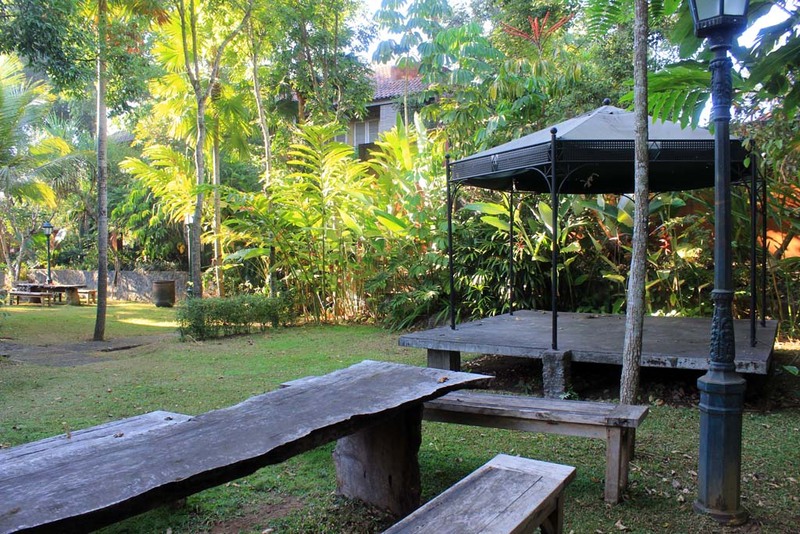 There’s even a gazebo in here, which definitely suitable for picnic while enjoying the serenity. 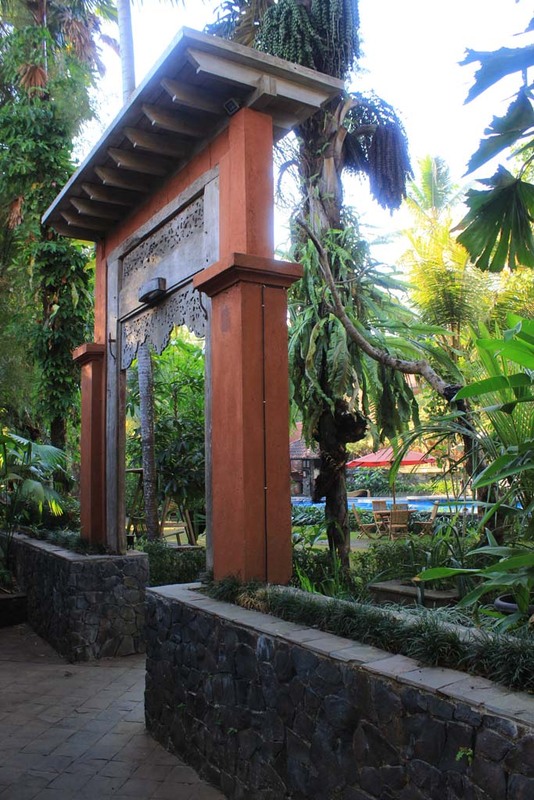 After marveling the rear part of the hotel, I returned back to the pool, through this Balinese style gate. 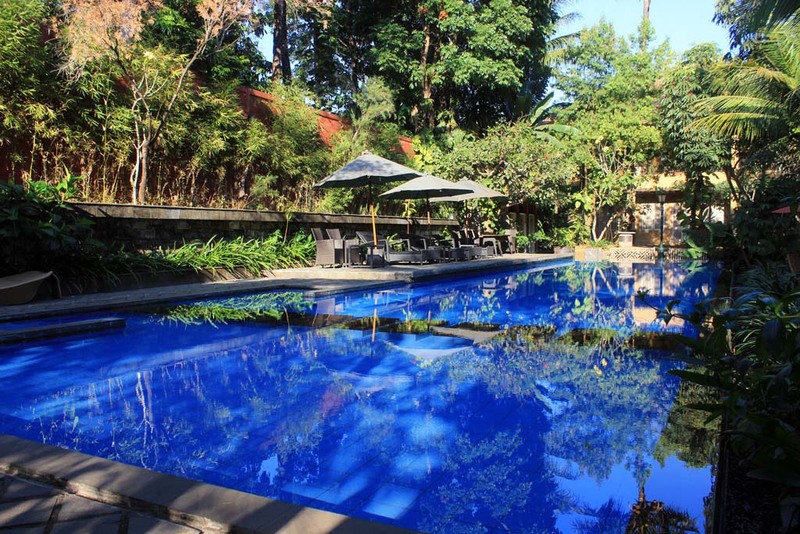 The pool is still quiet. 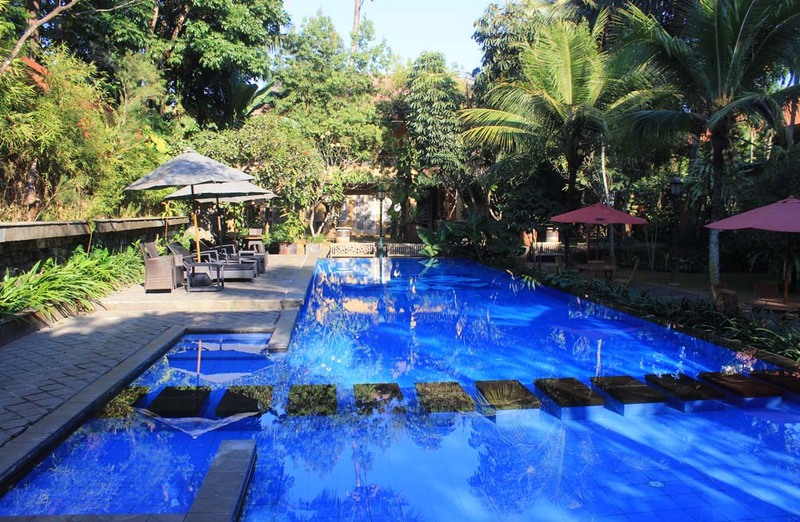 Although it’s weekend, there are no one to be seen in the pool. I wonder if they may still asleep? As I was exploring the pool, my brother and Stephen came. They have just woke up, and we’re ready to have a breakfast! Unlike other hotels that we visited on this tour, this hotel doesn’t provide buffet breakfast. 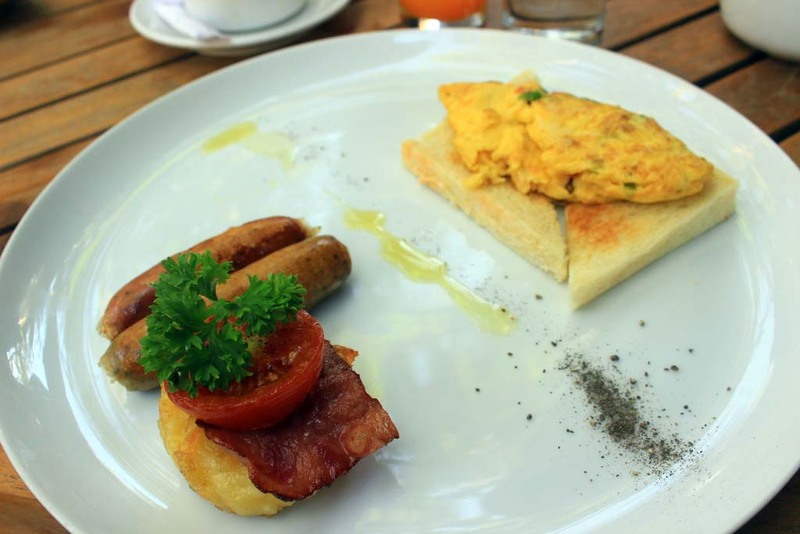 Instead they give us menu book where we can choose a selection of breakfast sets. 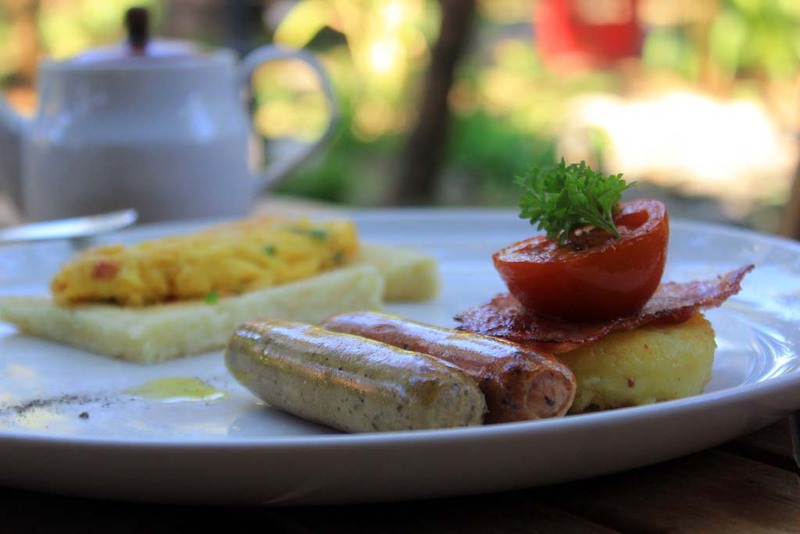 We choose American breakfast. 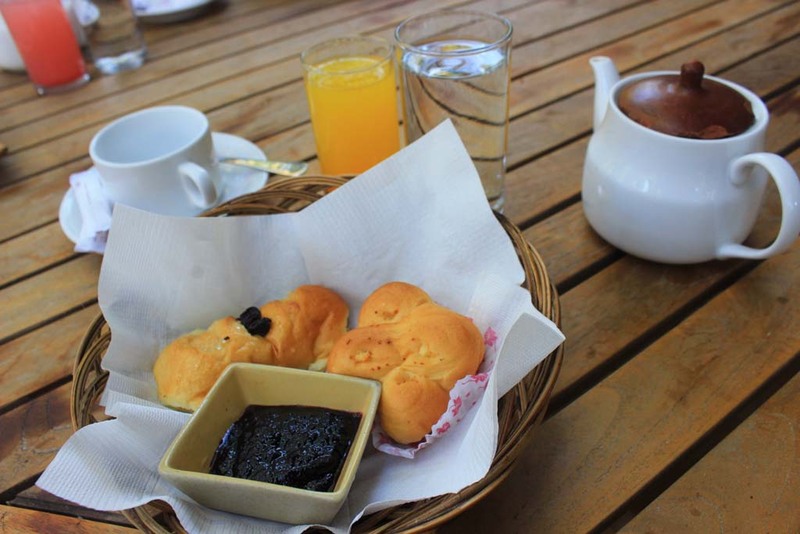 The first to come out was this bread, with blueberry jam. 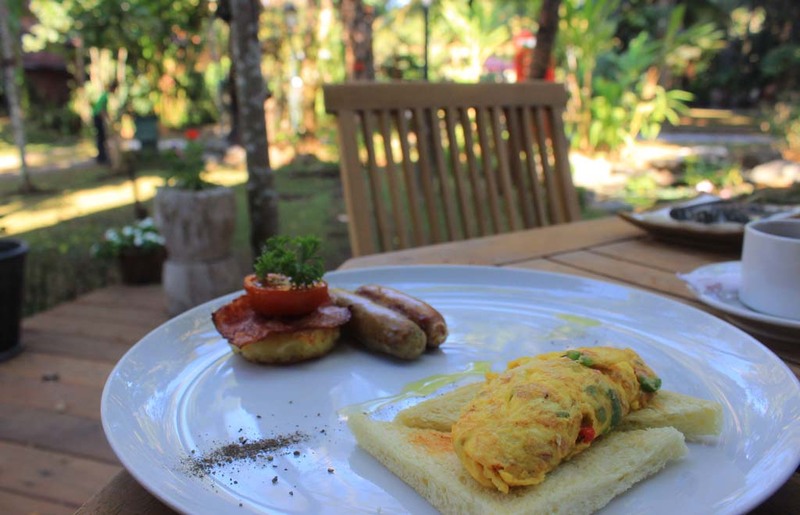 And then came the main course, which consist of sausage, (beef) bacon, omelet, and hash brown patty. Just like last night’s meal, there seemed to be an ample of empty space on our plate! While we enjoying our meal, we were curious to know where Robert is. He never turned up for breakfast. 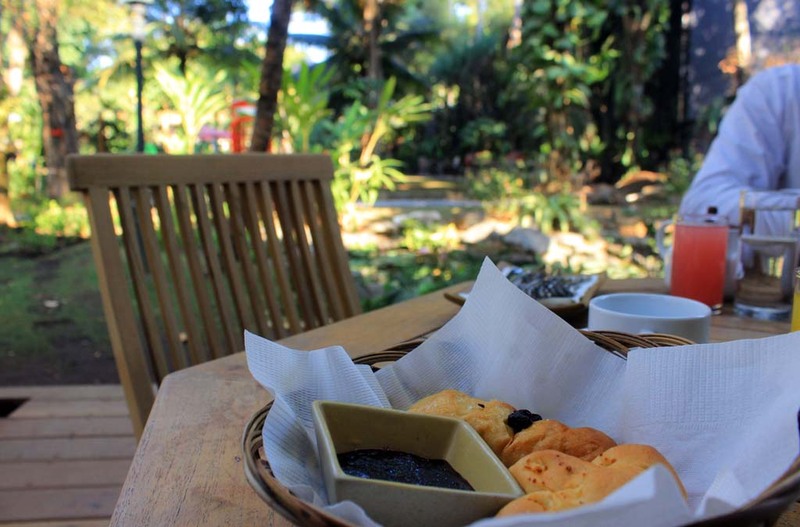 After we finished our breakfast, we decided to return back to our room. 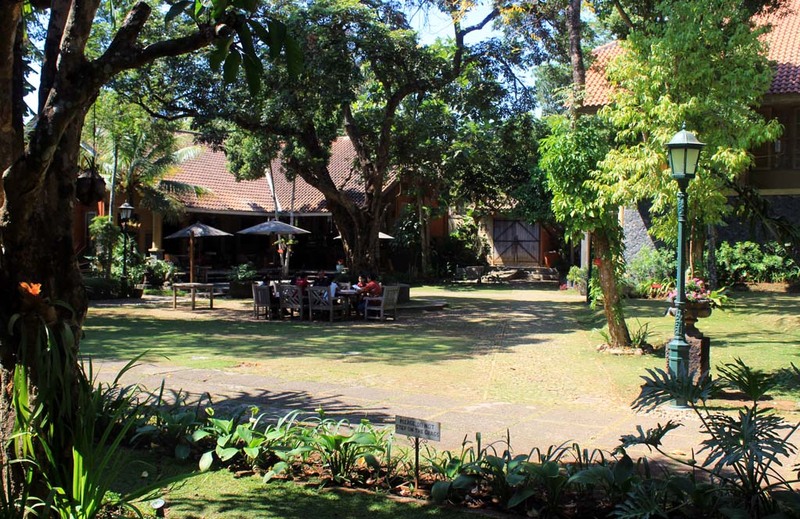 Along the way we see the hotel’s management meeting which took place right under the trees. Looks casual, but it’s actually dead serious. 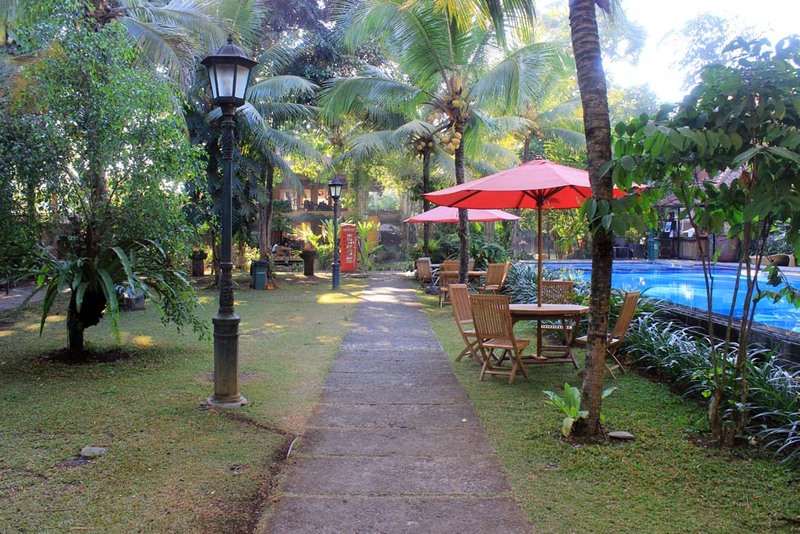 We returned back to our room to have a shower and preparing ourselves to resume journey. But as we muster on the veranda, we were slightly anxious to learn that Robert hasn’t turned up yet. So we decided to head to his room. His room’s door was open. Robert is already well dressed and his belongings are packed, but he sat weakly on the bed. We asked him what’s going on. He said that he cannot sleep well last night, and constantly vomiting. Apparently he had food poisoning. Just for note, Robert actually suffering from lactose intolerance where he cannot consume cow milk, or any other food/beverage products that contain cow milk. We assume that he might have unintentionally consumed the forbidden food during the dinner. His burger steak probably contains milk product, either butter addition on the meat or probably milk cream on the sauce. 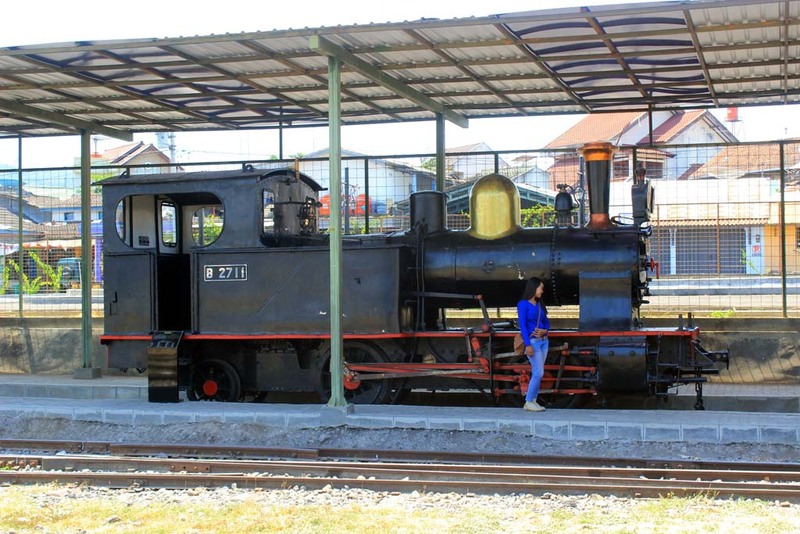 So we helped him to get into the car, and after completing the check out process we departed to Ambarawa railway museum. Along the way we dropped by at coconut fruit stall, where we buy some coconut drink for Robert. Coconut juice is not just refreshing, but it is also helpful in reducing the effect of food poisoning. 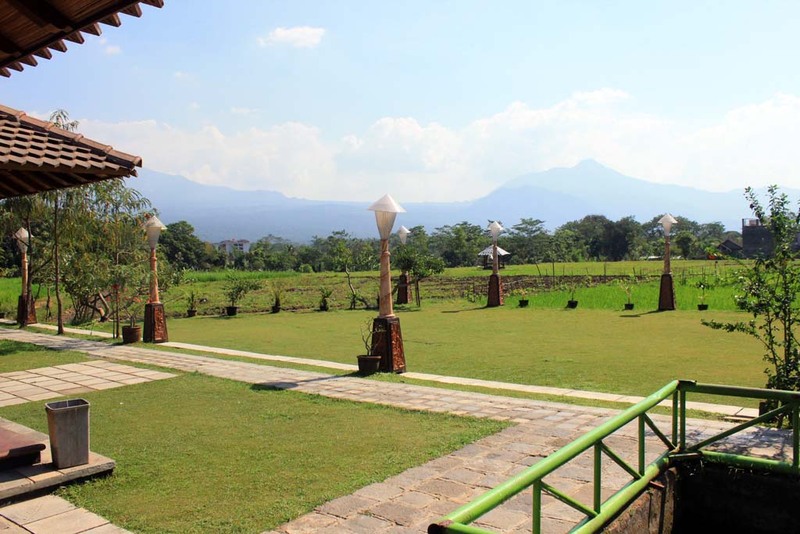 The trip to Ambarawa went without too much trouble, despite the fact that the road bridge above Tuntang station was repaired. We also sighted a new shed being built next to Tuntang station. It is rumored to be built for the future diesel locomotives museum. 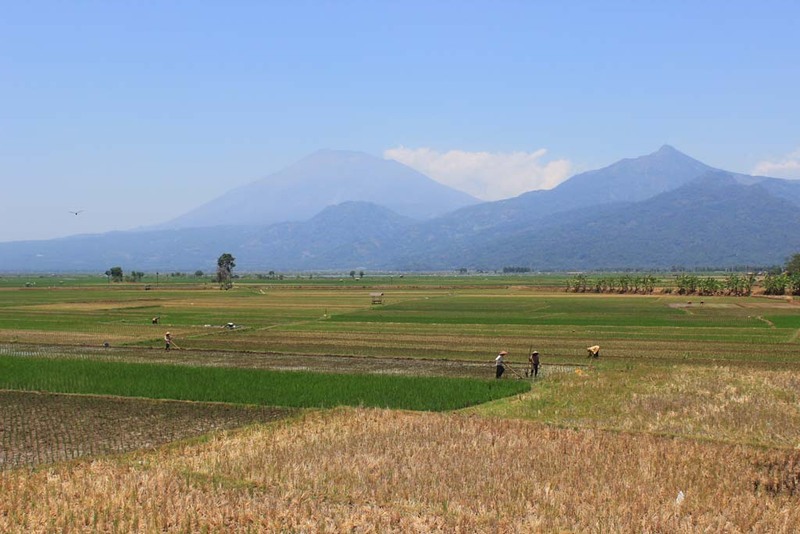 Along the way, we caught up with this unbelievably scenic view of Lake Tuntang valley, with mount Merbabu looming ominously in the background. The blue sky allowed us to take a perfectly scenic photo without too much effort. 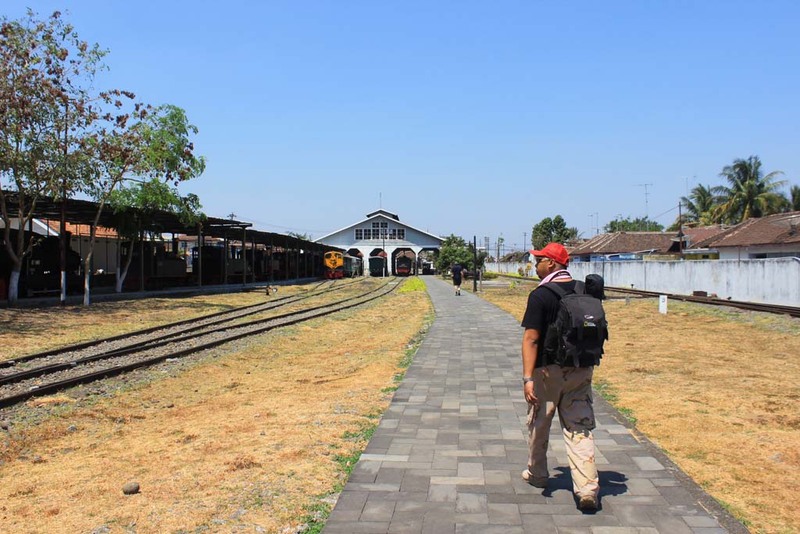 It would have been a perfect photoshot had the steam train also run, as the railway line from Ambarawa to Tuntang is clearly visible (the brown line slightly below the horizon). 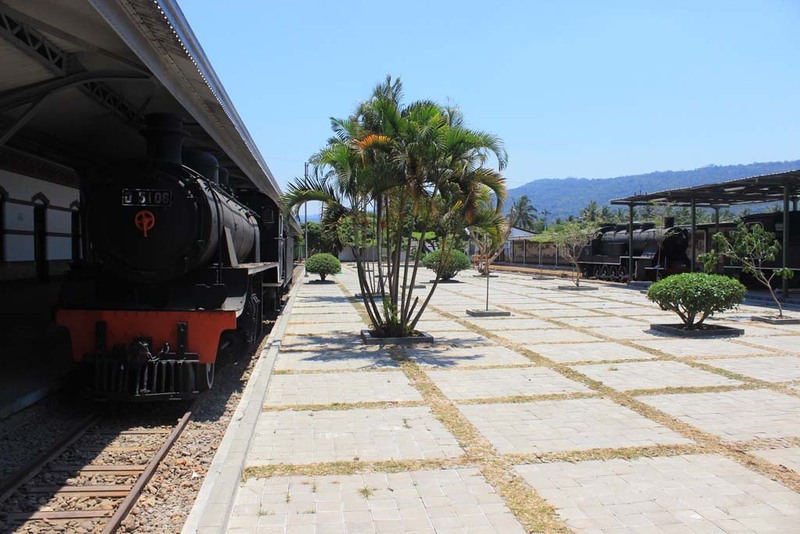 After a few minute drive, we eventually arriving at a much altered Ambarawa Railway museum. So much that I barely recognize it, and at one point I missed the entrance gate! 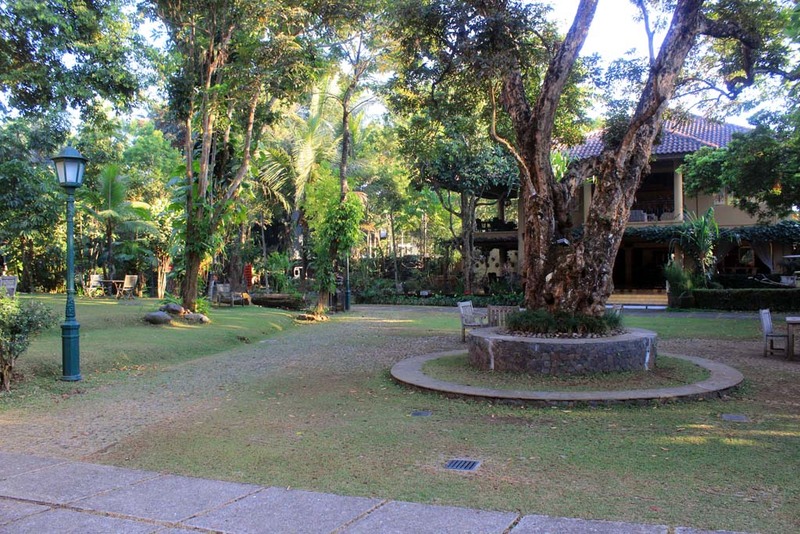 It looks completely different than when I last visited the place back in August 2014. 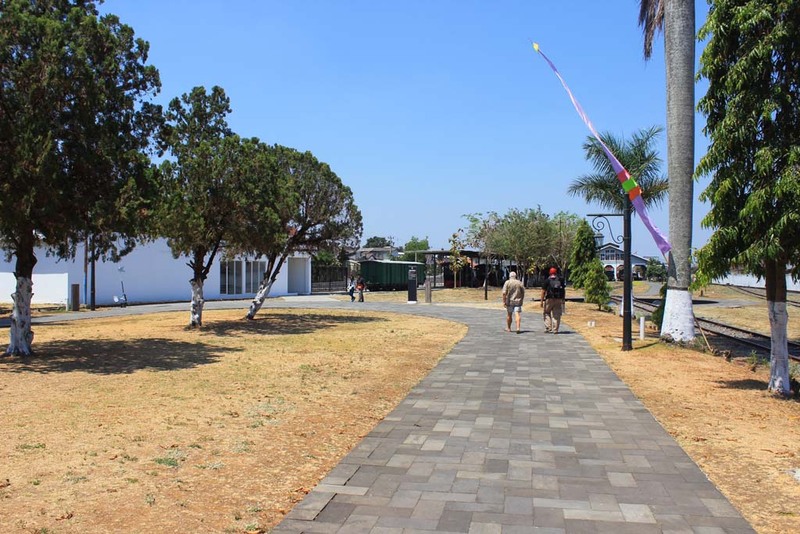 Now a new entrance area with a vast parking lot has been built next to the locomotive depot. But at the time when we visited the place, it hasn’t been opened yet. So we had to park our car on the outside. But this too can lead to a problem too. Apparently the locals charged us excessive parking fee! 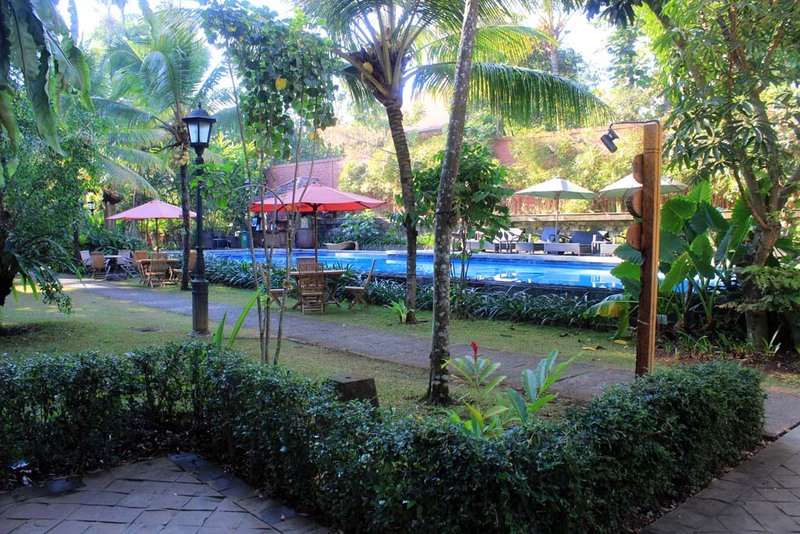 Instead of the usual Rp 2,000,- they charged us an outrageous Rp 10,000,-. 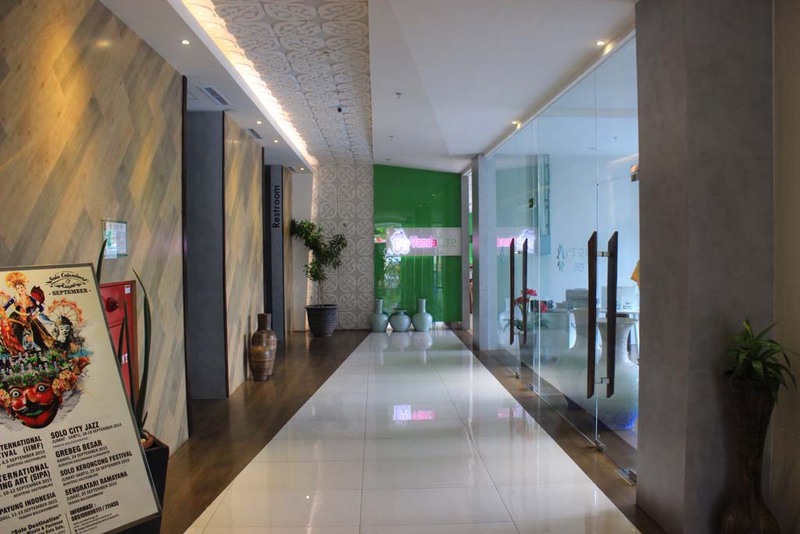 Even much more expensive than what I would pay on an exclusive shopping malls in Surabaya. A real rip off for a street side parking! I vehemently refusing to pay such excessive amount of money, but my brother persuade me to pay in order to prevent troubles with the car. So I hesitantly paid the money to those cursed parking attendants. 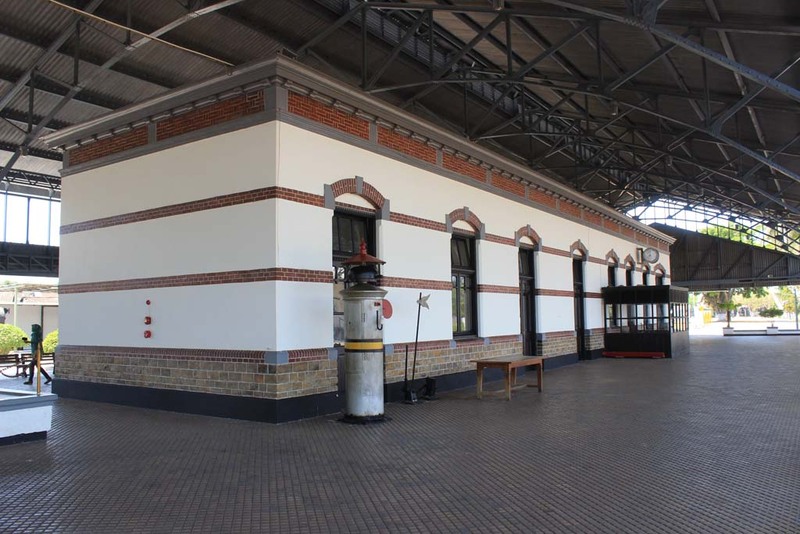 Now the temporary entrance is located in the locomotive depot, where visitors would be greeted by the live steam locos upon entering the museum. 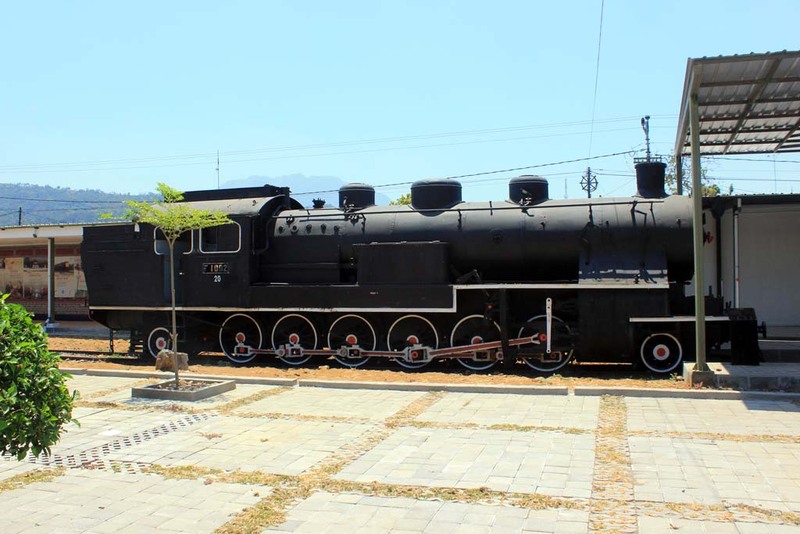 Just after we passed the entrance gate, we were greeted by the sight of this B51 12 locomotive. The sole survivor of its class is currently in working condition, in fact Stephen notice that its firebox is still hot. Probably it was used for excursion a day before. 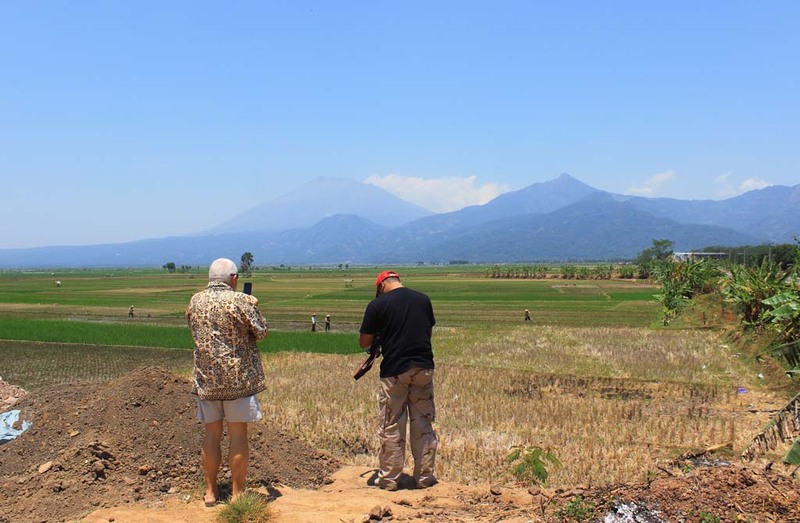 For longtime, the B25 were the main attraction in Ambarawa. 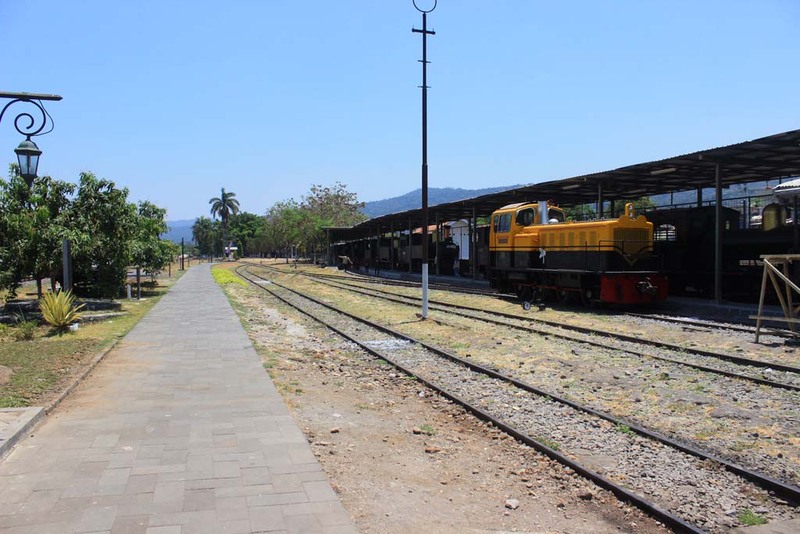 In fact it was the mainstay of tourist trains in Ambarawa, as it worked on the rack line to Bedono, hauling the tourist trains . But due to the lengthy repair work on the line to the south of Ambarawa, the B25s are rarely used these days, and sat idle most of the time. As we went inside, I can see that things have changed now. 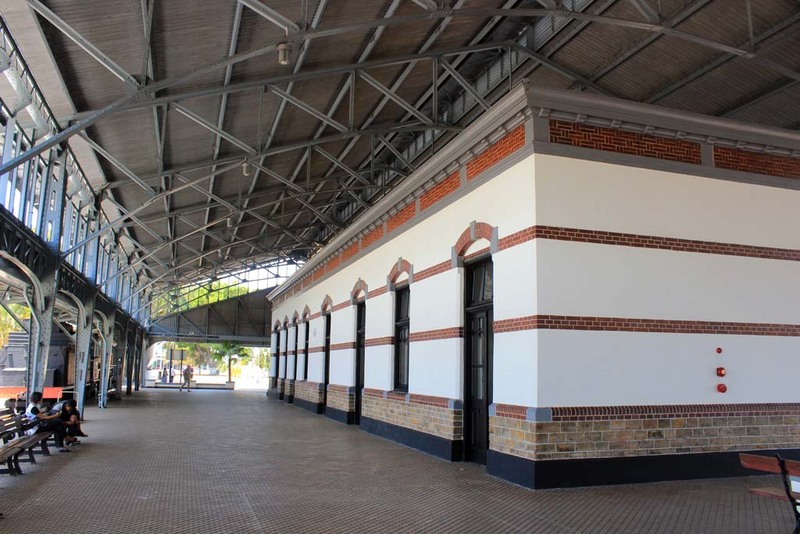 A new pathway have been built between the loco depot and the station. 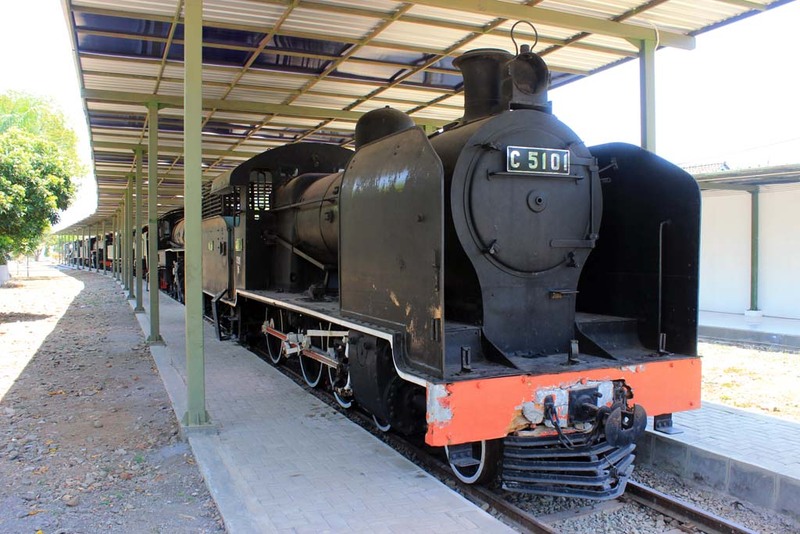 All steam locos exhibit are now placed under roof. Not all locos are placed under the roof. 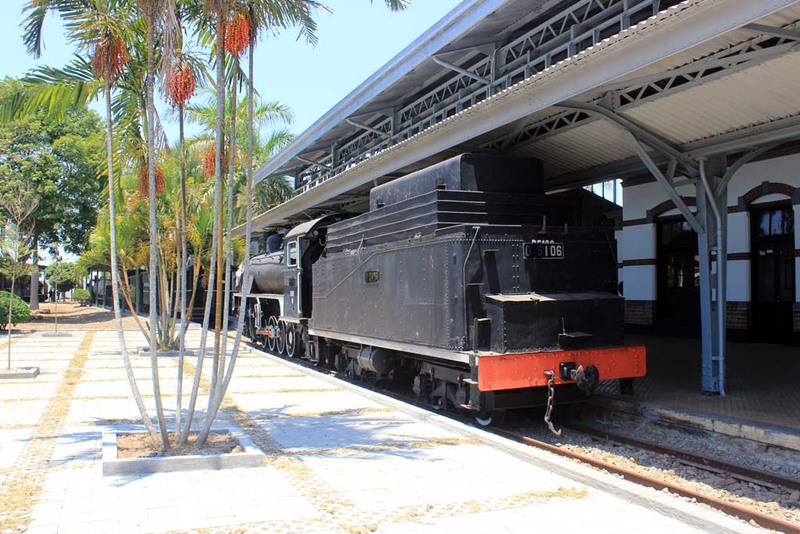 This Krupp built D301 locomotive is parked on the outside. 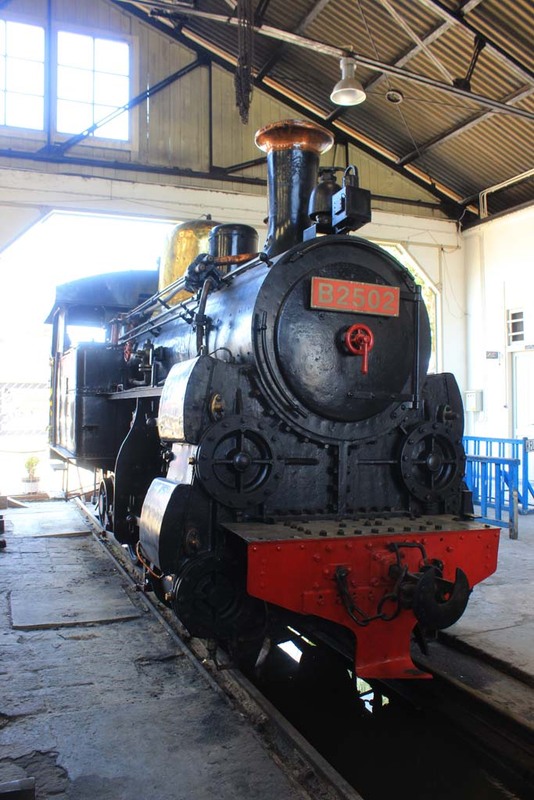 Aside of being relocated under the roof, all of the locos have also been repaired cosmetically. The sole survivor of its class, this 0-4-4-2 BB10 12 mallet. The type was amongst the first mallet locos introduced in this country, and was originally employed on mountainous route. 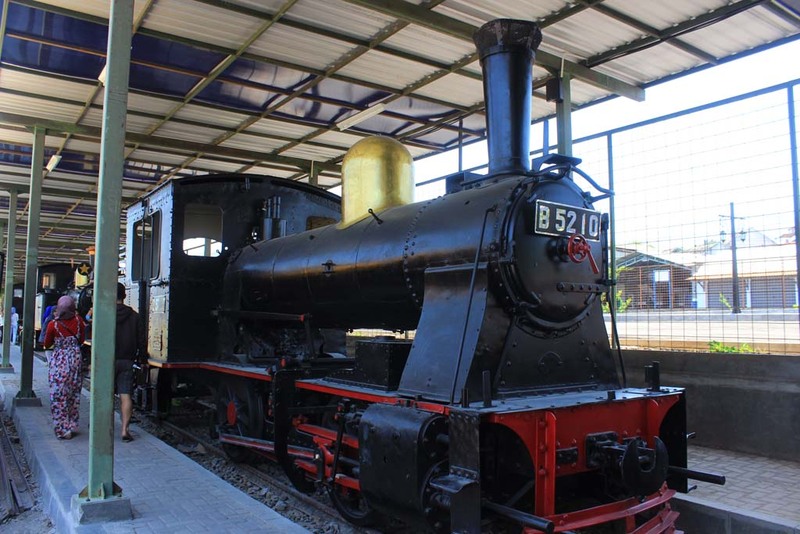 Another interesting exhibit is this 120 years old locomotive. 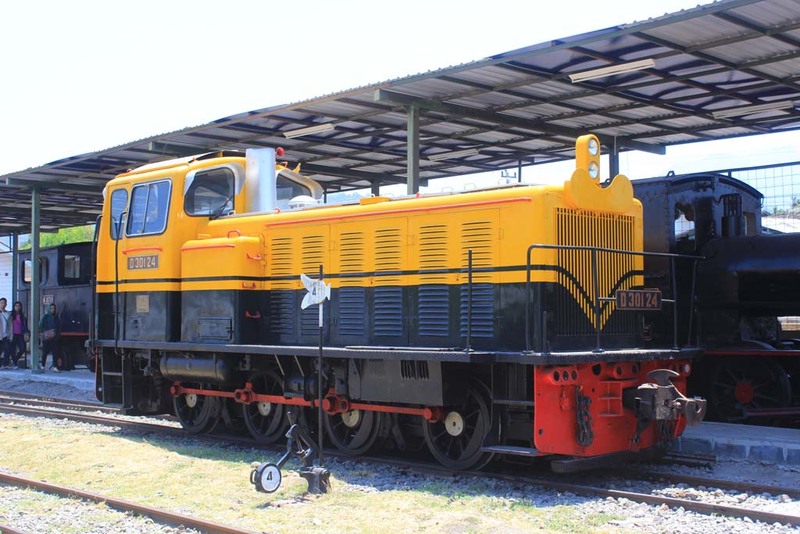 The C11 was once known as a versatile locomotive type. It can go to any type of lines, whether if it was lightly laid, steeply graded, or just plain mainline. Despite of their ubiquitous presence in the past, C11 40 is the sole survivor of its type. This loco had come a long way from here. 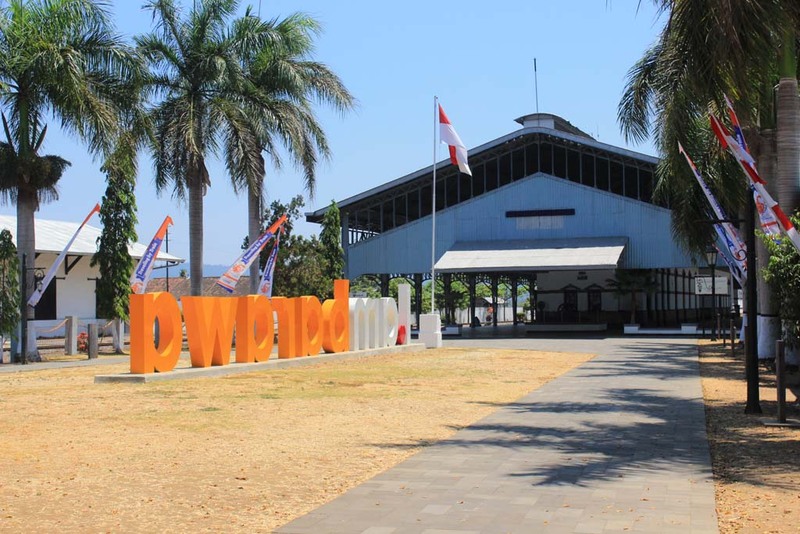 It was last based in Banyuwangi, on the easternmost terminus station in Indonesia, before being brought to this museum in 1970s. There are some skirt tank engines. Skirt tank means the loco’s water tank is located under the boiler, partly enclosing the wheels. When fully opened, this will be the main entrance of the museum. Back in the past we could drive our car or even bus all the way to here! But now, the whole area is blocked off from vehicles. In fact the old parking lot has been converted into tree lined Pedestrian Avenue. We also explore other parts of the museum. 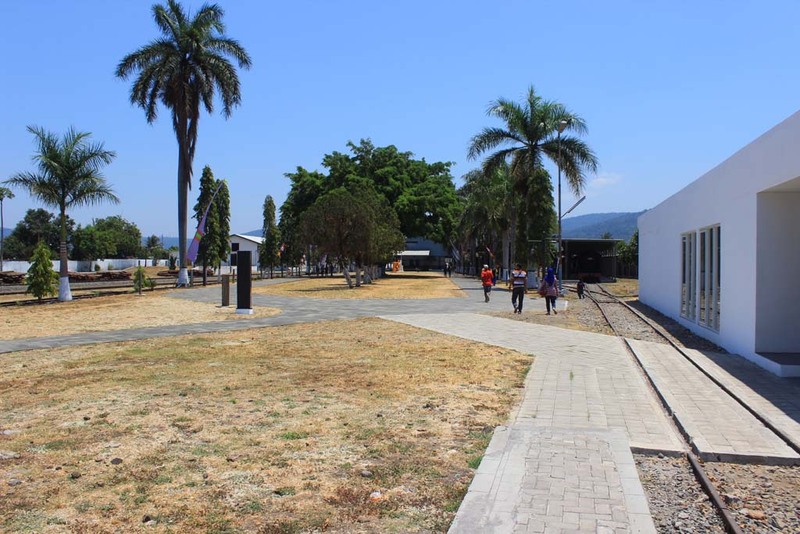 This area, for a long time, was devoid of proper railway tracks, after the conversion of the station into museum in 1970s. 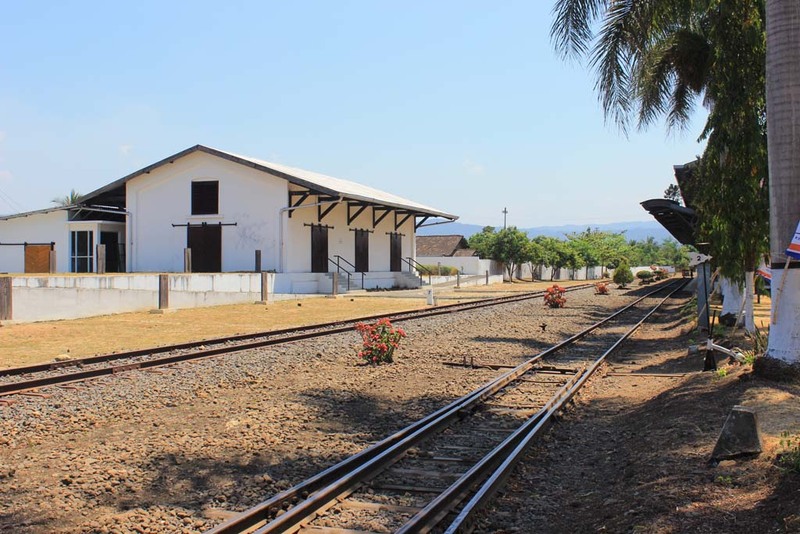 The area was originally a Cape Gauge railway yard, while the yard on the other side of the station building was originally a Standard Gauge railway yard because Ambarawa station used to be a gauge changing station. 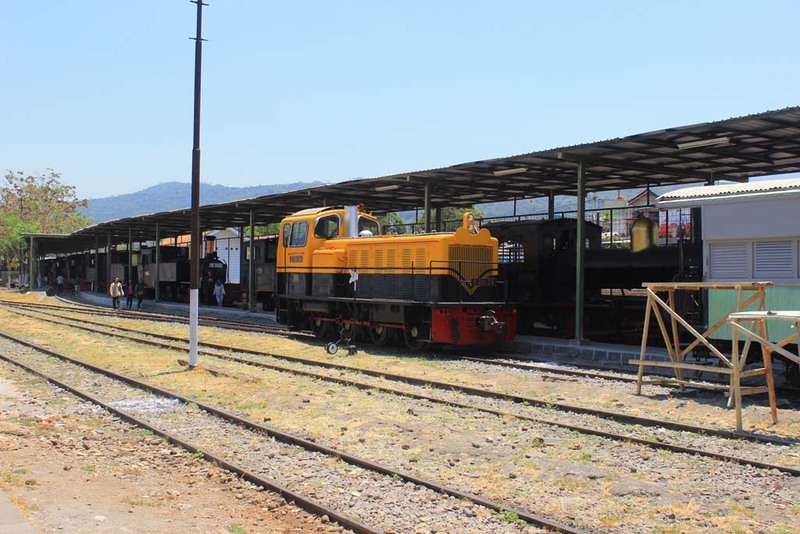 After the modification in late 2014 and early 2015, they have finally reinstated the original track layout, and put all of the locomotives on it. 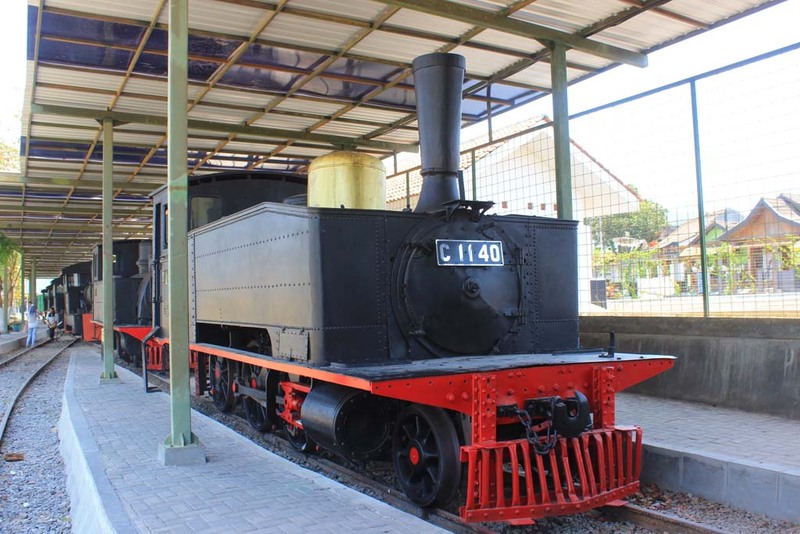 This C12 40 locomotive looks identical with the C11 in the previous photos. In fact the loco also came from the same factory too. The type is essentially the compound version of the C11, which was major improvement when compared to its predecessor. And just like the C11, it Is also more than 120 years old. The C51 seemed to have a strong Victorian identity. That is not surprising, considering that this loco was built by Beyer Peacock in Great Britain. 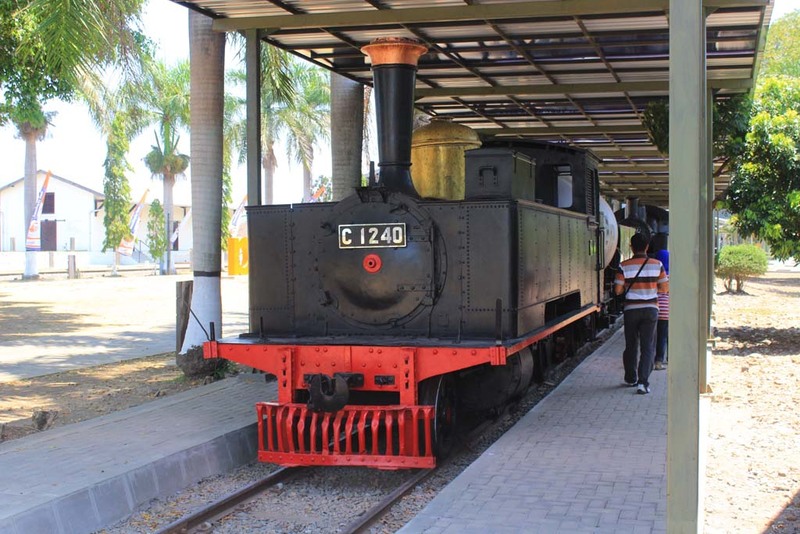 The loco was originally purchased by Dutch East Indies Railway Company (Netherlands Indische Spoorweg Maatschapij), and operated on their cape gauge mainline between Semarang to Surabaya. During the last years of her service in 1970s, she was based in Cepu and used for local trains. Moving along, we visited the express locomotives exhibit. 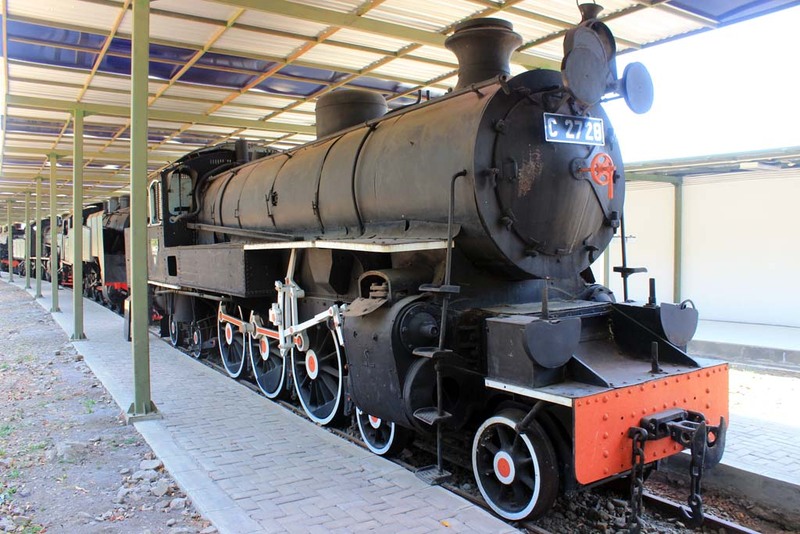 This 4-6-4 C27 steam loco was a popular express locomotive. But the lack of tender, and small water tanks, makes this locomotive unable to travel very far. To fix the problem, they eventually developed the improved version which feature larger water tank (plus smoke deflector). Classed as C28. The C28 was a highly popular locomotive. 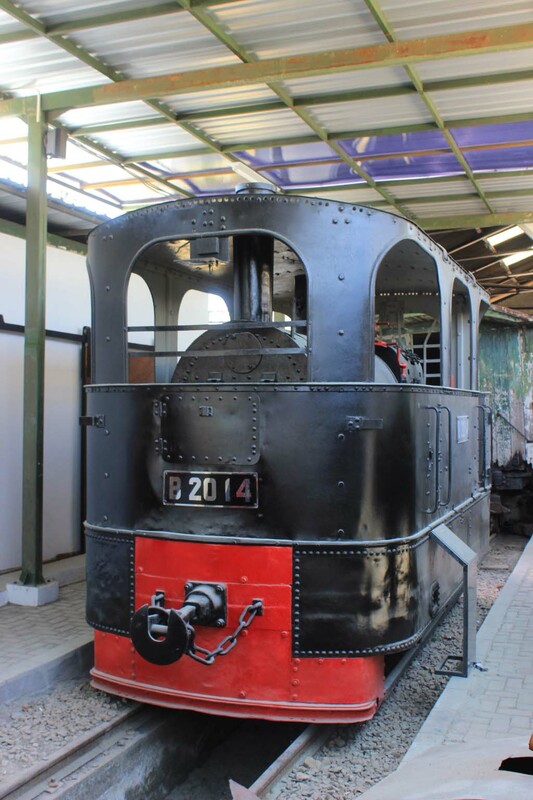 It was used for many express trains of the era. Even one of them was equipped with tender, as well as streamlined casing. 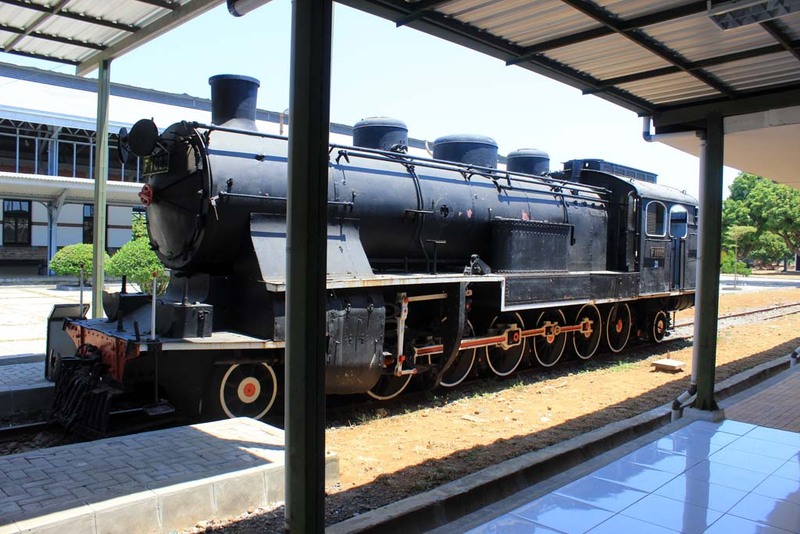 One of the C28 loco had also have distinction of being used as the first (accidental) presidential train in Indonesia, where in 1946 it was used to carry president Soekarno escaping from Dutch siege from Jakarta to Yogyakarta. Unfortunately, despite of its distinguished career, only one C28 survived (this C28 21). The rest, including the one used for Soekarno train as well as the streamlined one, were scrapped between 1984 until 1992. 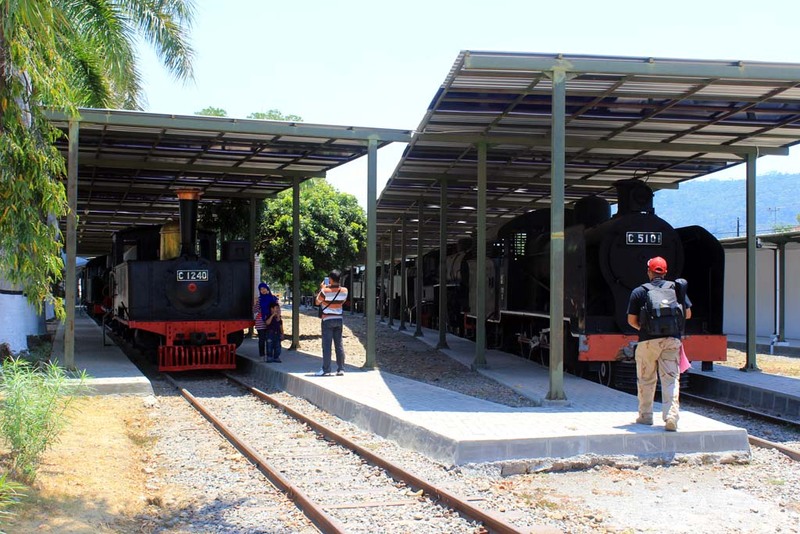 Moving along, just behind the express locos, is the largest exhibit in Ambarawa railway museum. 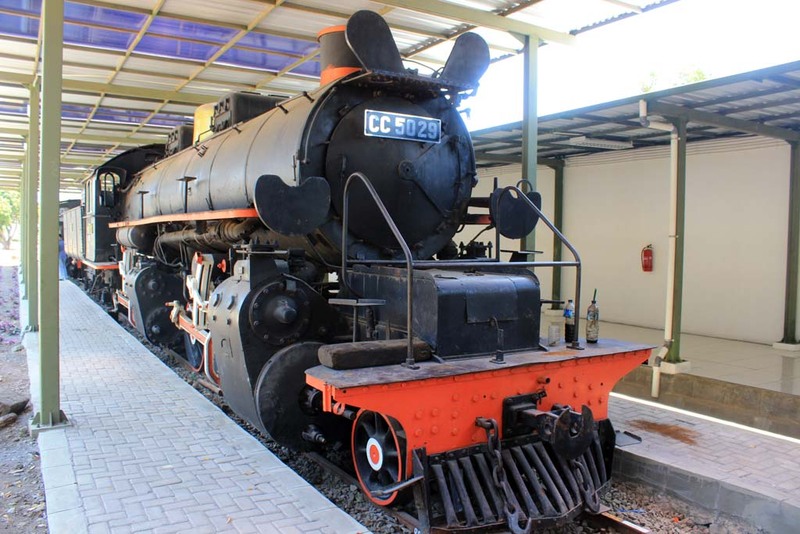 This CC50 29 2-6-6-0 mallet is one of three survivor of its class still remain in existence. 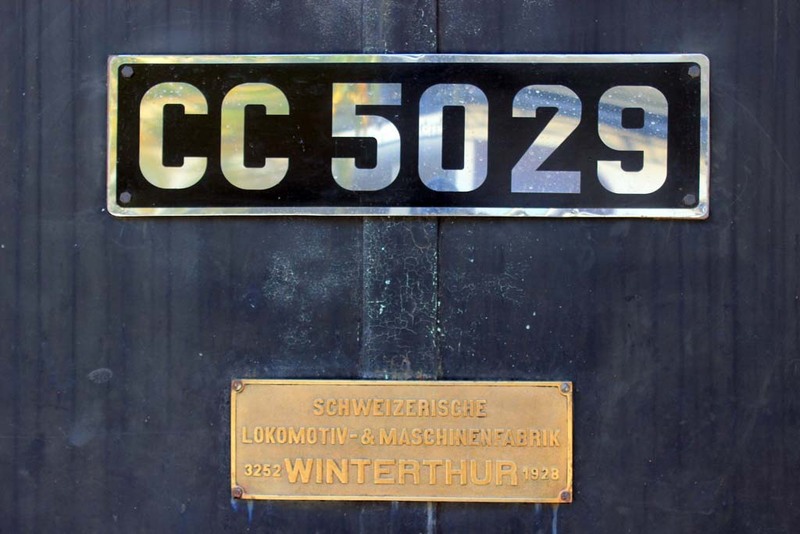 The type was manufactured by 2 companies: Werkspoor in Holland, and SLM in Switzerland. This loco was built in Switzerland. 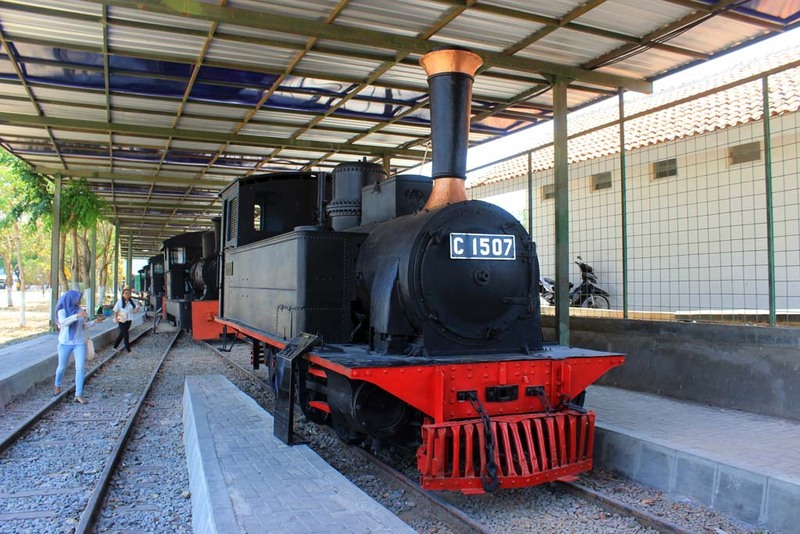 The CC50 mallet locos were originally introduce to assist the larger 2-8-8-0 mallets on steeply graded mountain lines in Java. Unlike its larger siblings, the CC50 were capable of traveling at higher speed than its sisters thanks to its lighter weight. Just behind the CC50 mallet, there is another locomotive with centipede-alike wheel arrangement. This 2-12-2 wheel arrangement was designed to deal with steeply graded track on the mountain in West Java. 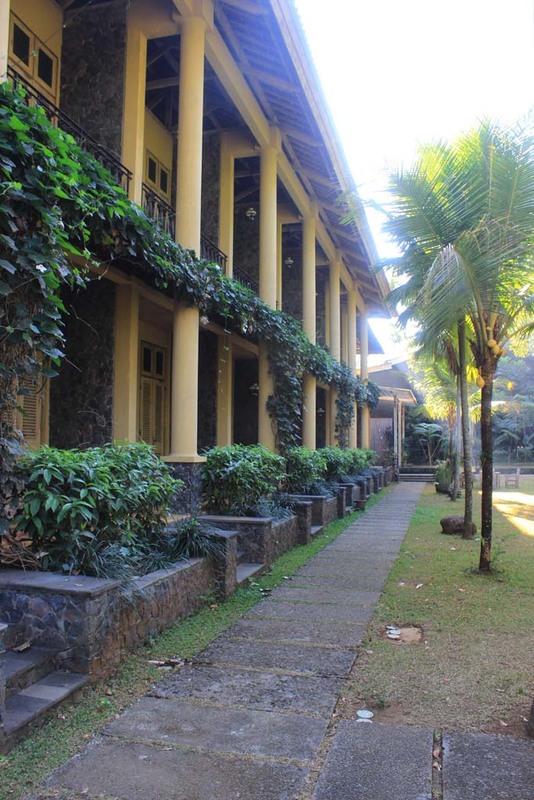 This curious looking design was never popular on the twisty track on the mountain of West Java. And thanks to the lack of flexibility of such wheel arrangement, the loco was eventually relocated to other places with leaner curve which allowing this loco to operate. 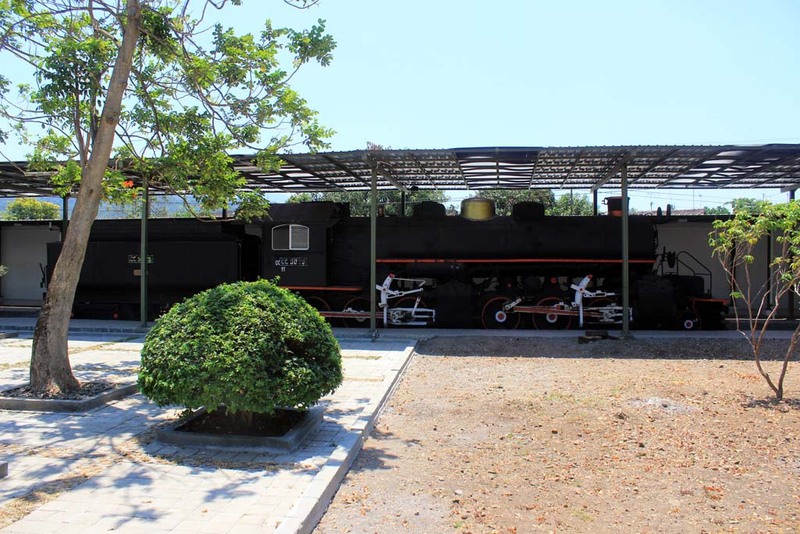 Just across the yard, there is another locomotive with colorful history behind. 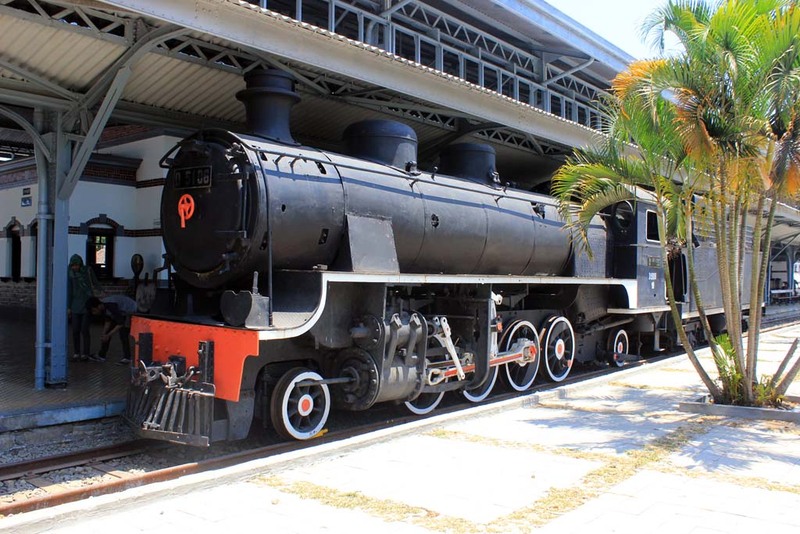 In fact it happened before the loco made its way to Dutch East Indies/Indonesia!. 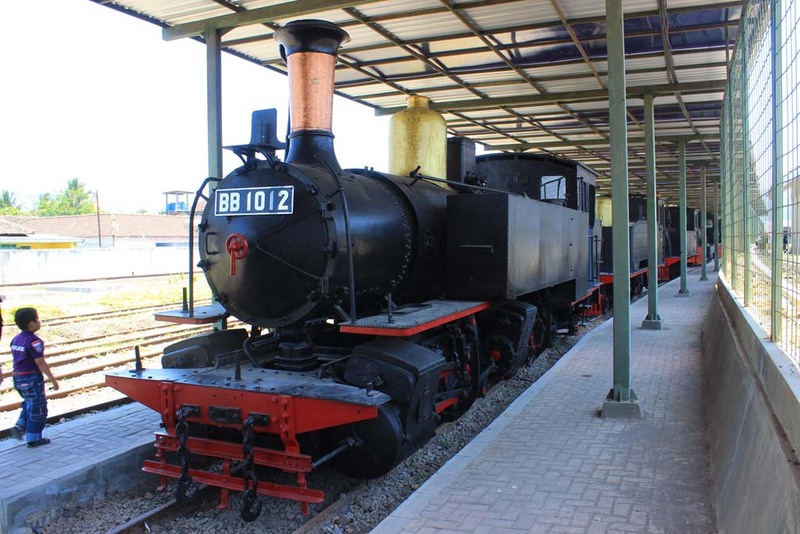 The type was originally built by Hartmann in Germany for Hedjaz railway in present day Saudi Arabia, to a 3ft5in gauge. 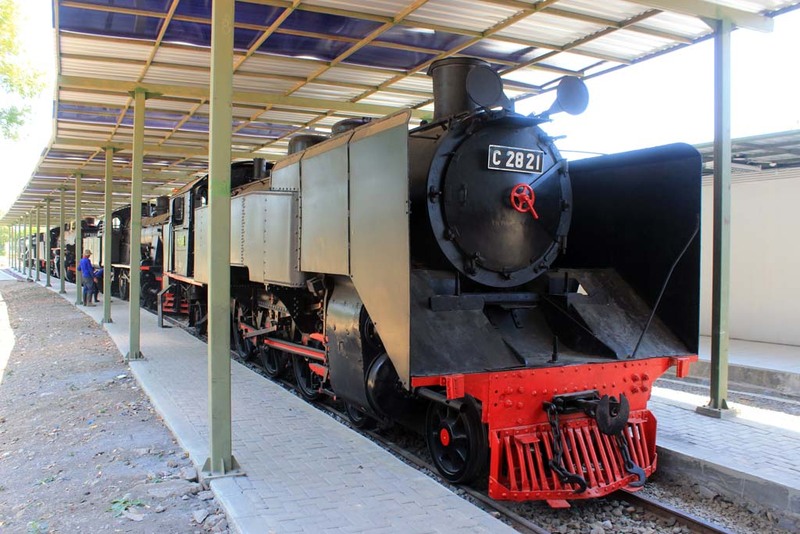 But due to frequent attacks by Lawrence of Arabia during First World War, Hedjaz railway went into closure. The locos were unsold for some time. 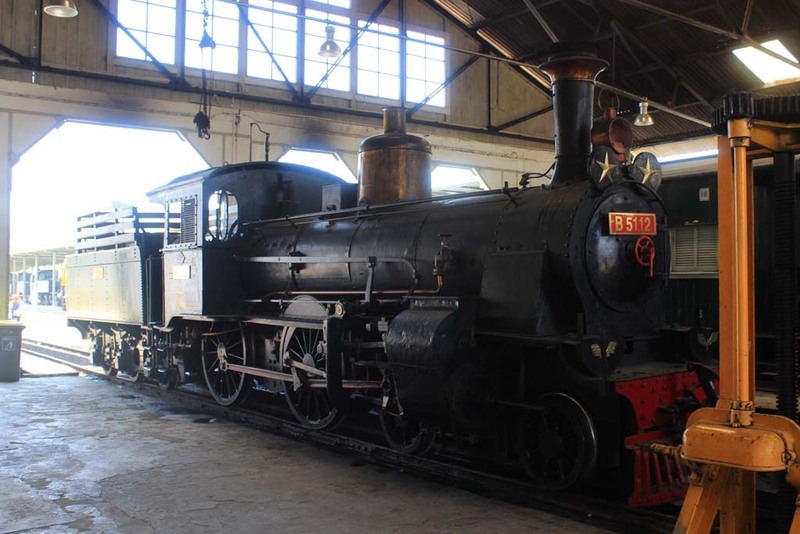 That is until Dutch East Indies State Railway eventually willing to purchase the locos and operate them in Java. It wasn’t very difficult to adjust the locos to the 3ft 6in lines in Java. And they were widely used to haul variety of trains. 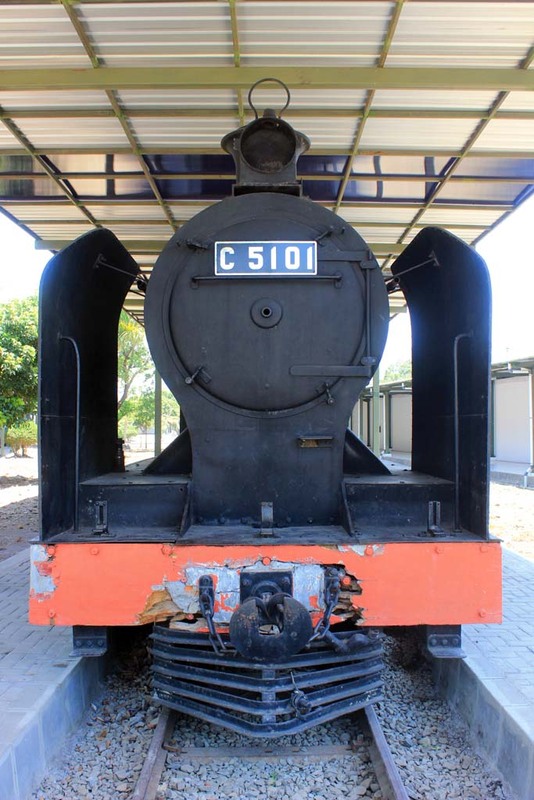 The type was withdrawn in 1970s, and D51 06 is the sole survivor of the class. 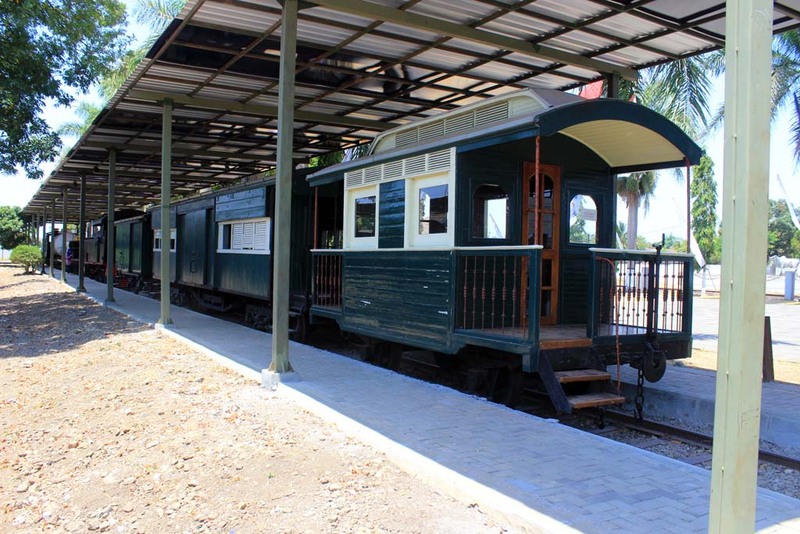 Aside of locomotives, now they also put rare coaches into the exhibit. 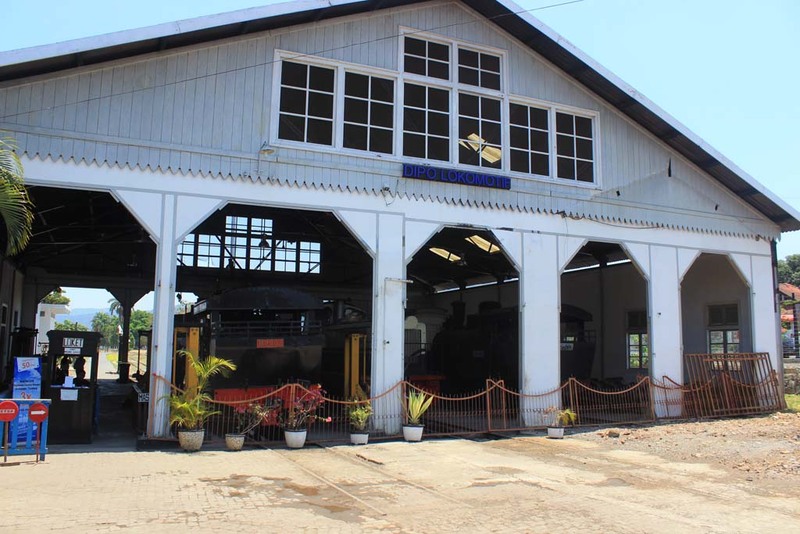 Such as this small inspection coach which was once used in Madura Island. And behind it a rare convertible coach which can double as both passenger or parcel van (note its large door in the middle). The station building itself now looks rather quieter than what it was. Now they also put Edmundson ticket printing machine at the back of the museum. It seemed that now behind the station building they also put some old station halt on display. 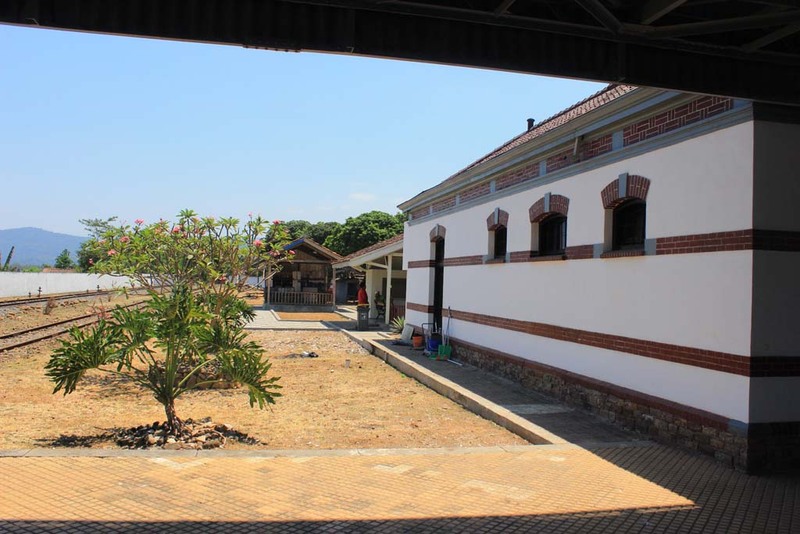 The roofed structures behind the loo are actually former railway halt in Wonogiri railway line. They’re relocated and preserved here because of their uniqueness. We also came across track maintenance gang who work with their rail motorbike vehicle. 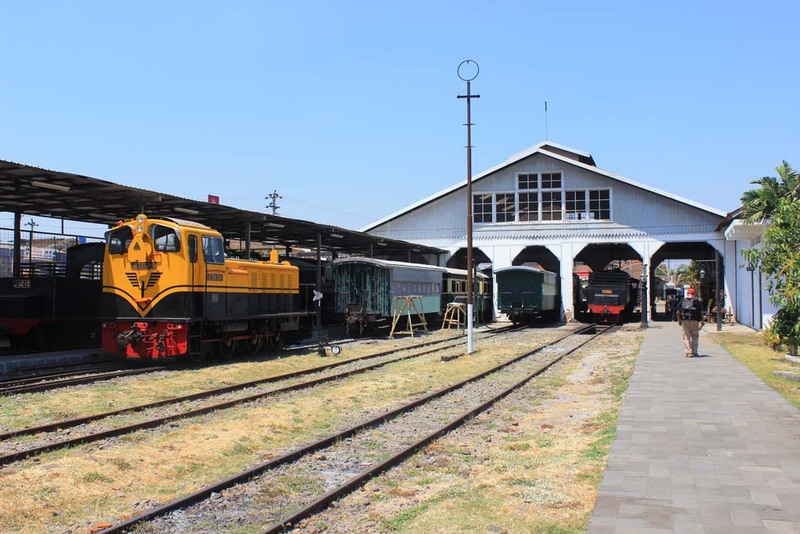 From them I heard some news about Ambarawa railway museum and its associated railway operation. They said that now the legendary rack line to Bedono is currently unserviceable due to a bridge damage somewhere along the line. We also marveled the sheer size of the shed above the station building. There are other 2 stations who share similar design, and both of them are located on the mainline and pretty much busy station themselves. Those are Solo Purwosari and Kedungjati station. The real reason why the Dutch build such a massive station in a (then) remote area was the fact that it was located adjacent to large army barracks complex. 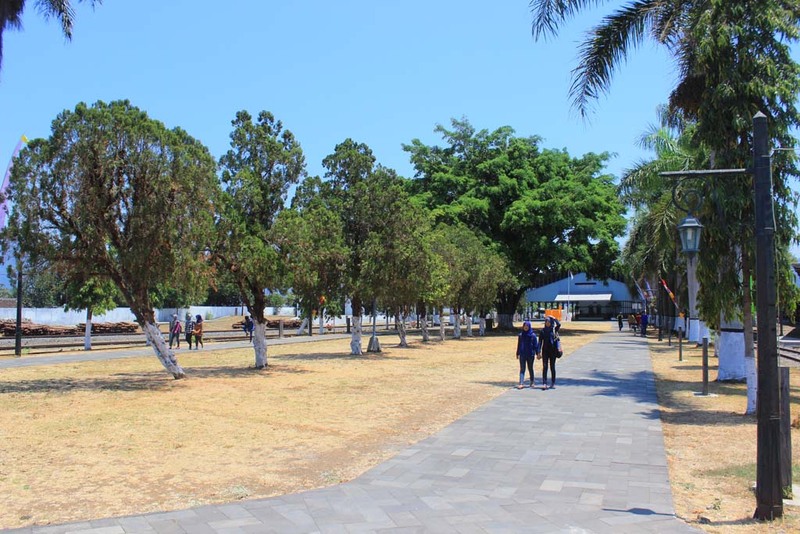 Back then the station was frequently used to bring soldiers from Ambarawa into the Semarang harbor before being shipped and deployed into the major military conflict areas such as Aceh or Bali. 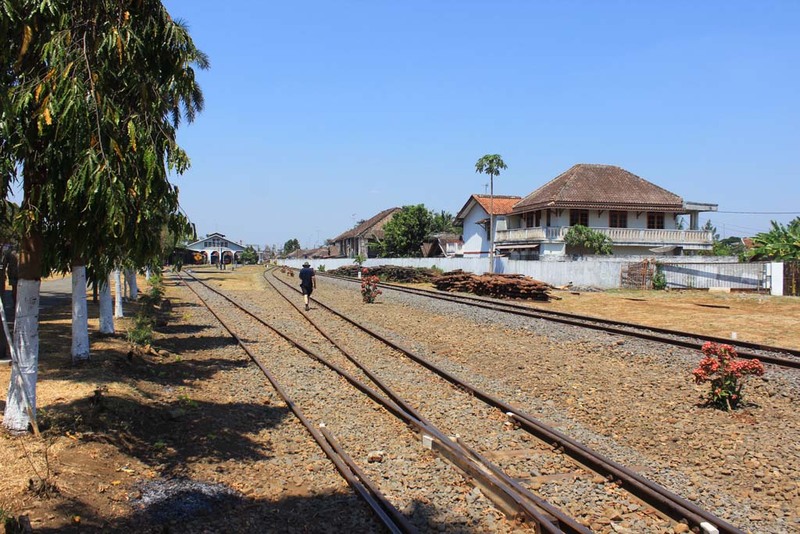 The demand of military railway were so big that they decided to build extension (albeit on narrower 3ft 6in, with rack railway) to Magelang on the south as there is a major army barrack over there (now used as Indonesian Army Academy). It’s time for us to resume our journey to Solo. Along the way I catch the glimpse of former standard gauge yard which is now used as departure/arrival point for tourist trains. 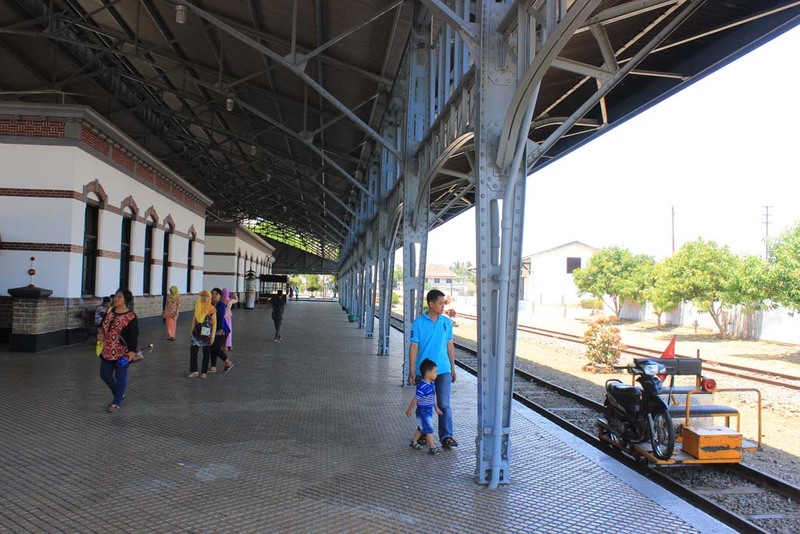 Rumor has it that when the Kedungjati-Tuntang railway line reactivation works are completed they will run a regular Semarang-Ambarawa commuter train, making this station busy once again. 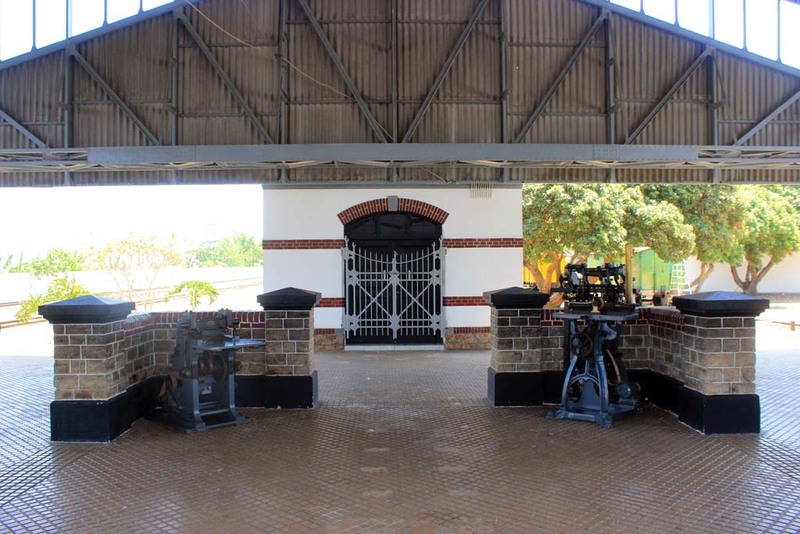 But the question is, considering the lengthy distance between the entrance gate and station platform, would it be suitable for such operation? Not to mention if it’s rainy. 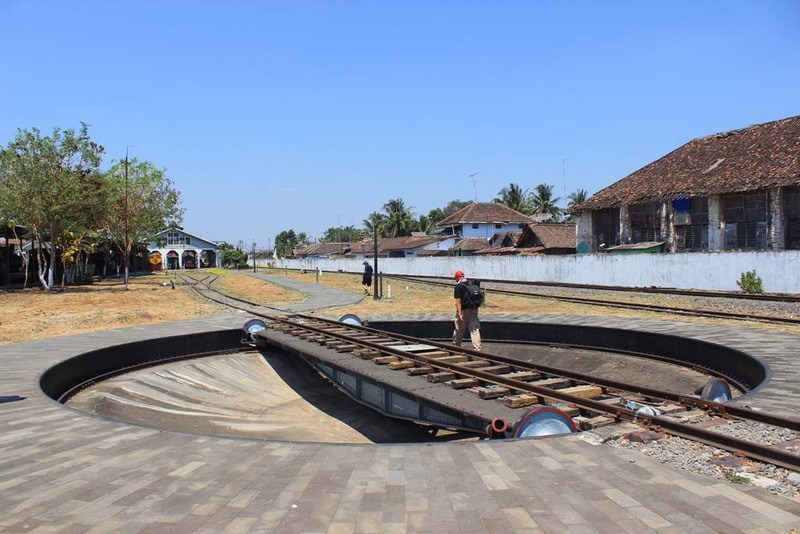 Another unique feature of Ambarawa railway station is the presence of turntable on the access track to the locomotive depot. Which means that the loco will have to go through this upon entering the main track. It’s time to go now. Along the way we catch the last glimpse of this 0-4-4-2 mallet before. 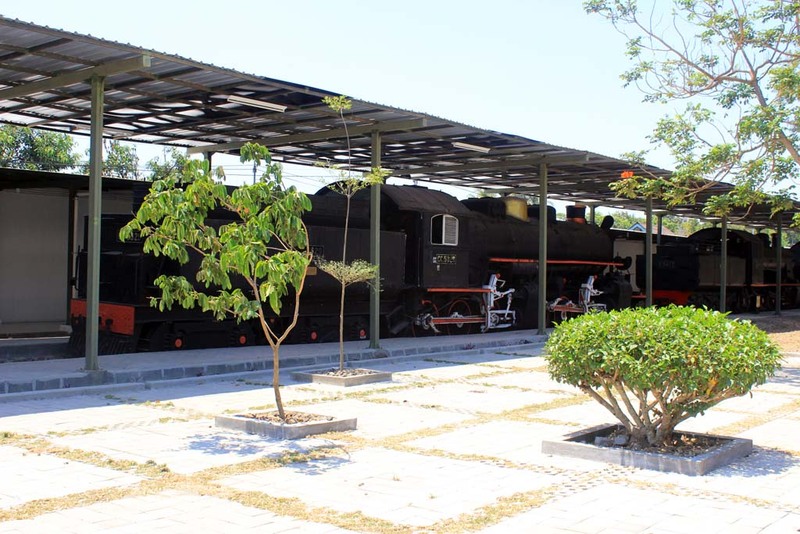 As we get near the locomotive depot, we can see that Ambarawa locomotive depot was once designed to accommodate both the standard and cape gauge locos. You can see that the 3 doors on the left were once designed for cape gauge locos, while 2 door on the right were once used for standard gauge locos. 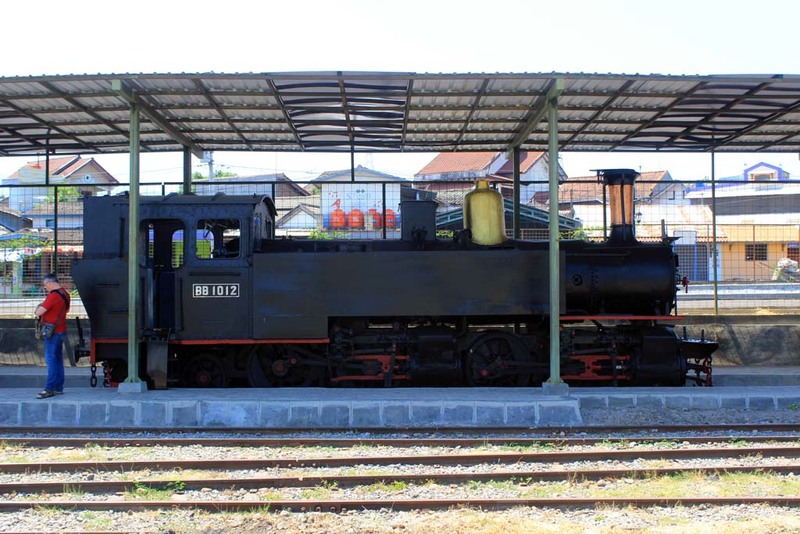 Although no standard gauge locomotives, nor coaches, are displayed in Ambarawa, there are 2 standard gauge bogies stored in Ambarawa. 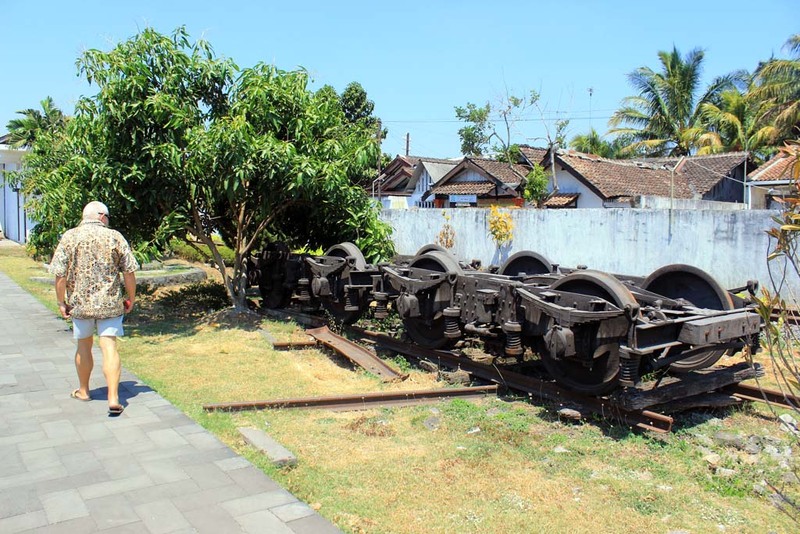 These bogies were for long time dumped at Manggarai workshop, Jakarta, before being rescued and brought to Ambarawa railway museum. 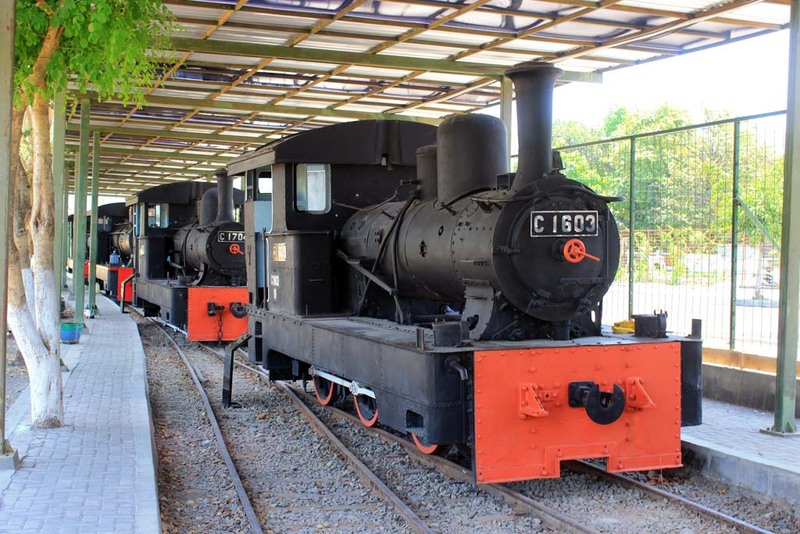 According to some info, they’re going to build a replica of the coach which was once supported by these bogies. Hmm, I remember this loco. 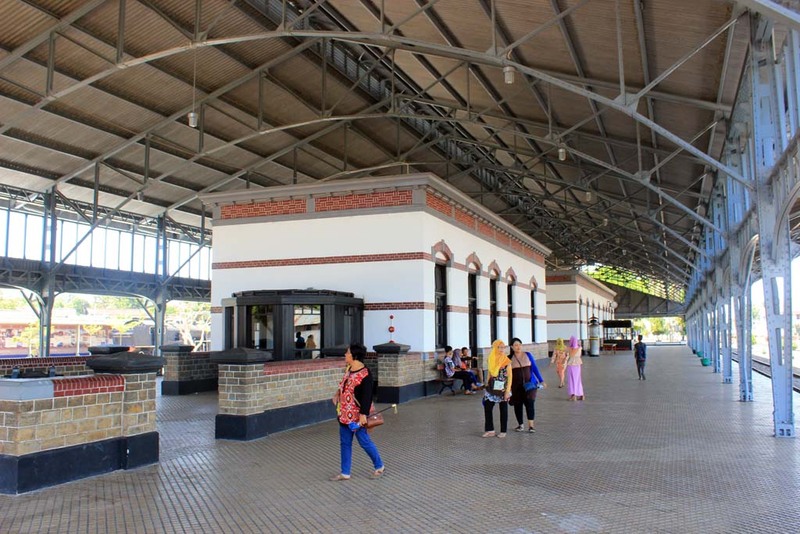 It was once displayed on a pedestal just in front of the Ambarawa station building. 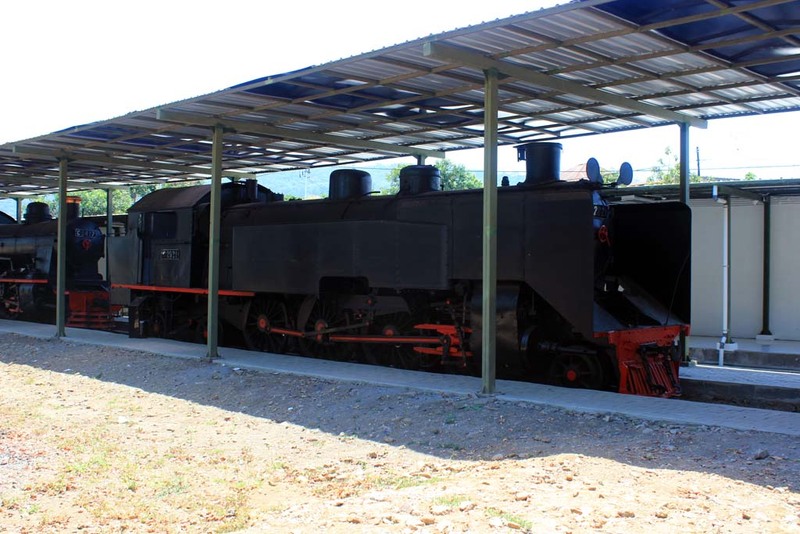 But when they rebuilt the museum, this loco is relocated to its current location. 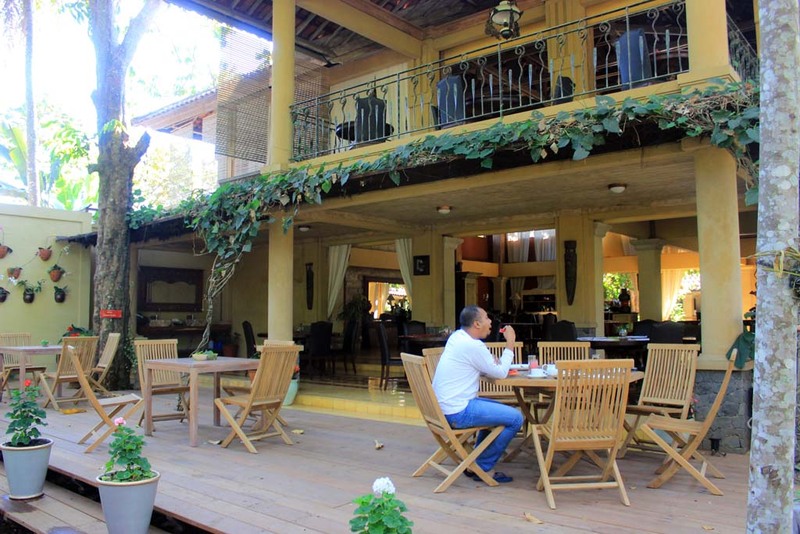 We resumed our journey south, where we return back to Salatiga to have a lunch in the same restaurant that we visited previous night. 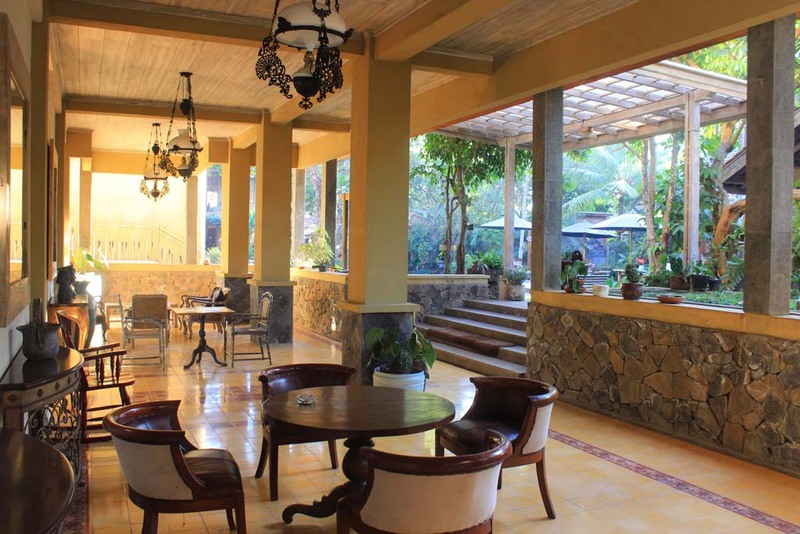 This time the restaurant is fully open, and ready to serve us. 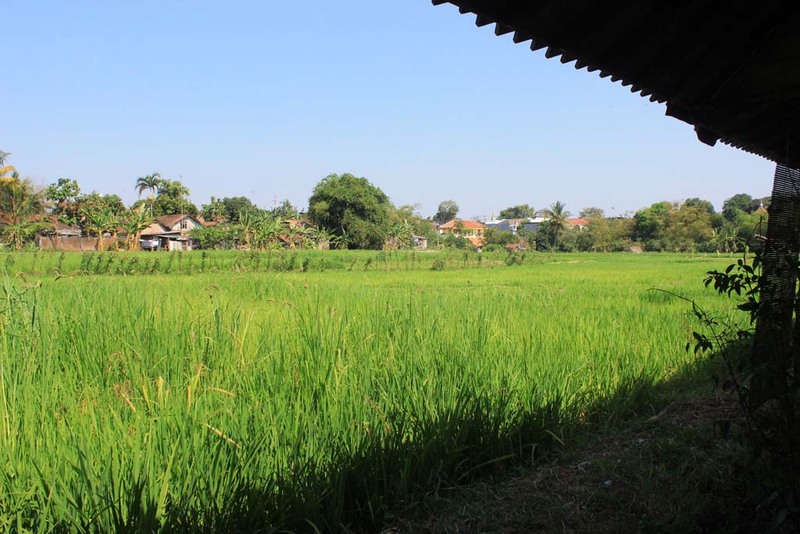 We sat in a chair that overlook the rice field and mountain, while we enjoy the meal. By this time, Robert has largely recovered from the effect of food poisoning. Although he restrict his meal, and spend more on the drinks (coconut water). 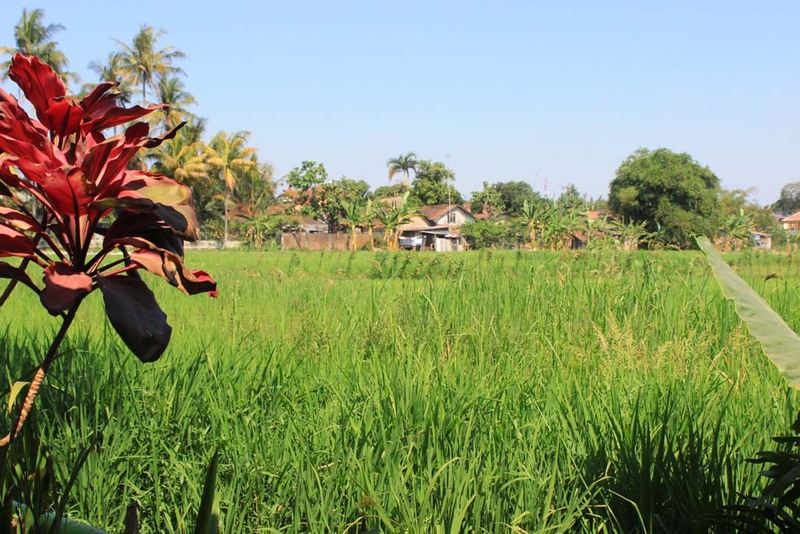 After we finished our lunch, and settling the bill, we resumed our journey south to Solo. The trip went almost uneventful, had it not for a traffic accident near Boyolali which caused traffic pileups. 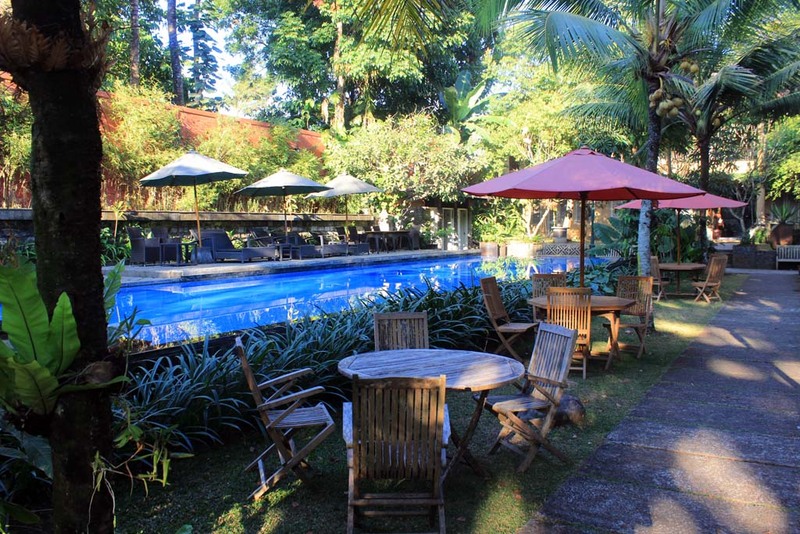 Upon arriving at Solo, we head straight to our hotel. 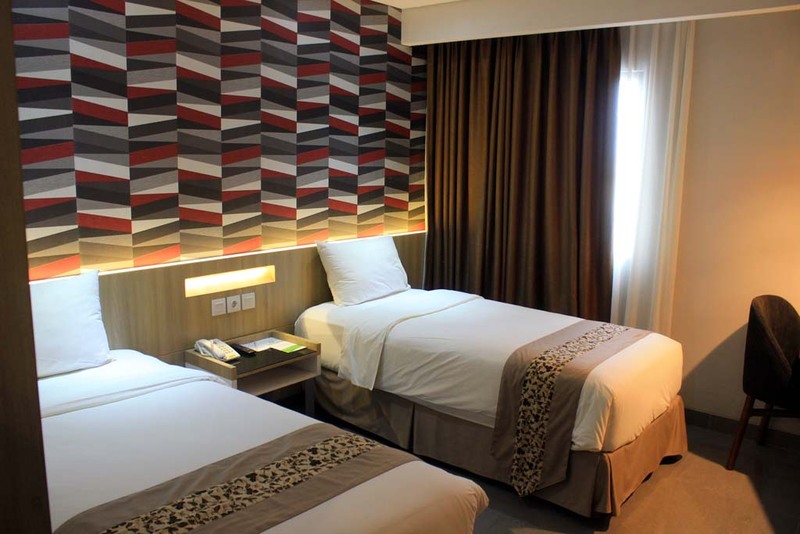 It’s not really difficult to find our way to our hotel as it is located just next to Solo Purwosari station. This rather brand new hotel is very comfortable. 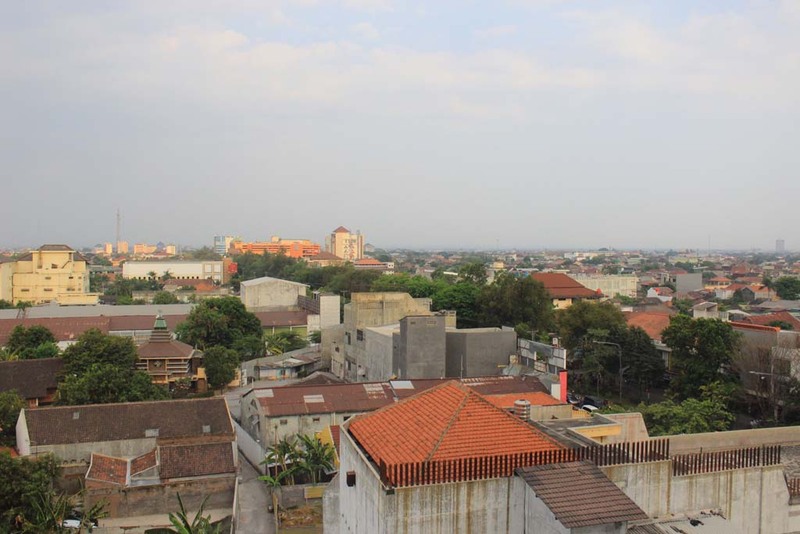 From our window, we can see Jalan Slamet Riyadi (the main thoroughfare of Solo). And also parts of the branchline to Wonogiri. 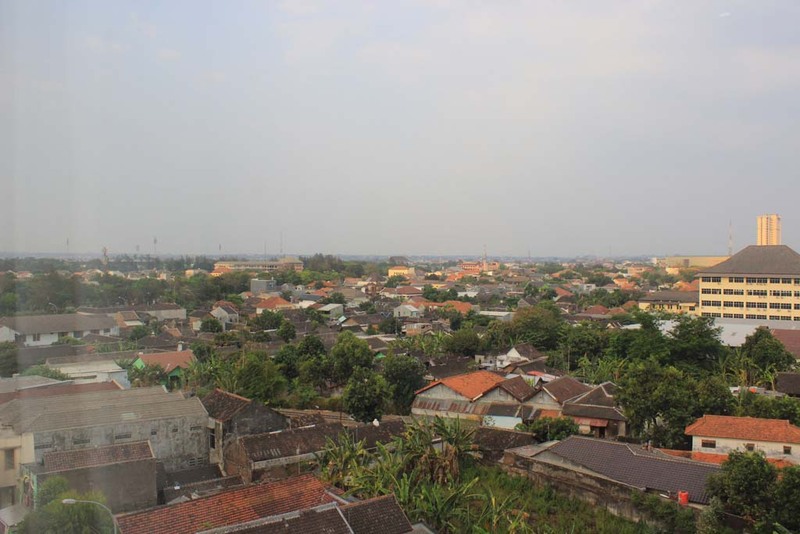 From the window in the alleyway, we can also the Solo Purwosari station yard too. 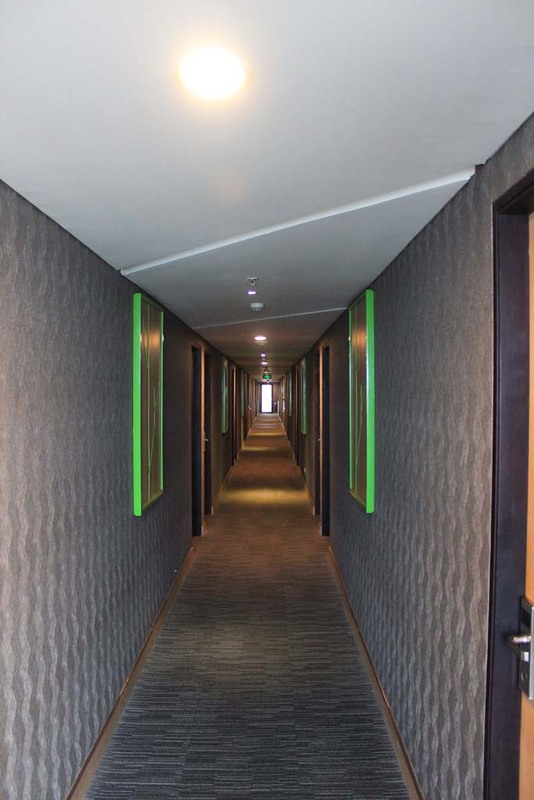 I have to say that this hotel looks very stylish. 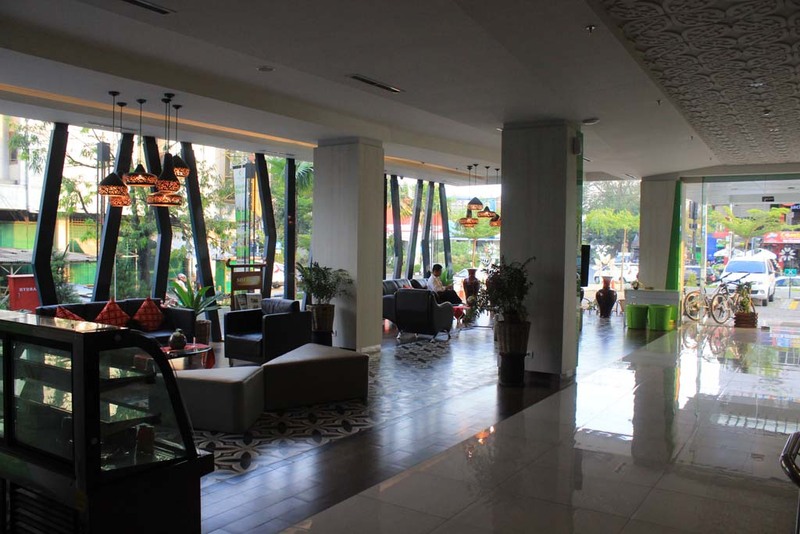 The lobby area is also equally chic. 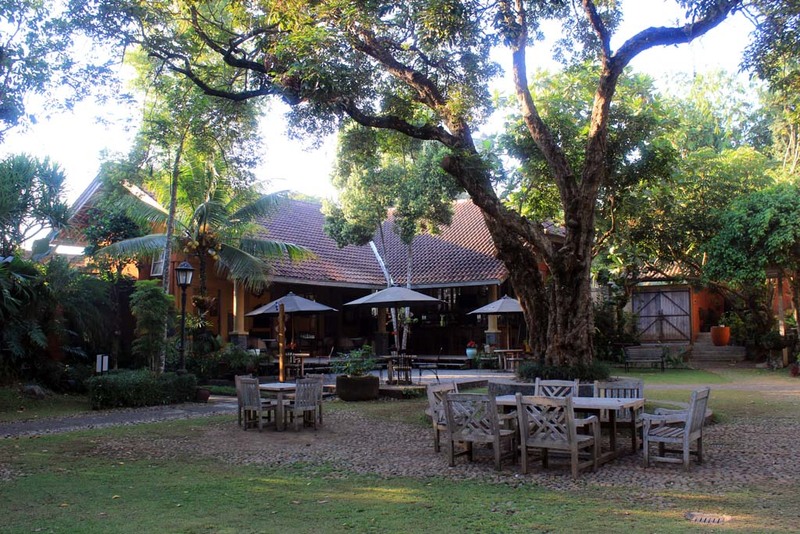 We initially thinking about making a visit to Tasikmadu sugar mill in the afternoon. But due to Robert’s unhealthy condition, we decided to take a rest in the hotel. The story for today doesn’t end here, although the photography is done for today. In the evening we go to dinner, except that Robert chooses to stay as he is recuperating from the effect of food poisoning. 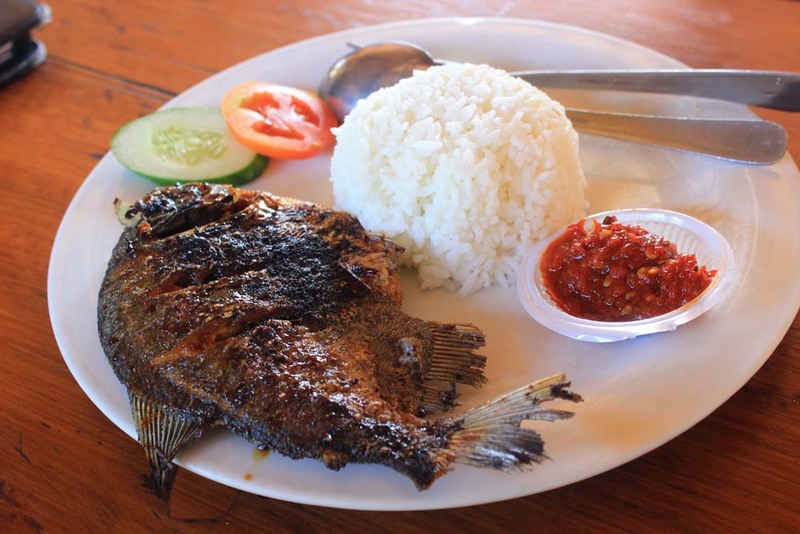 Solo is complete antithesis of Situbondo when it came about culinary. So much that we were confused on choosing which restaurant to go for dinner. 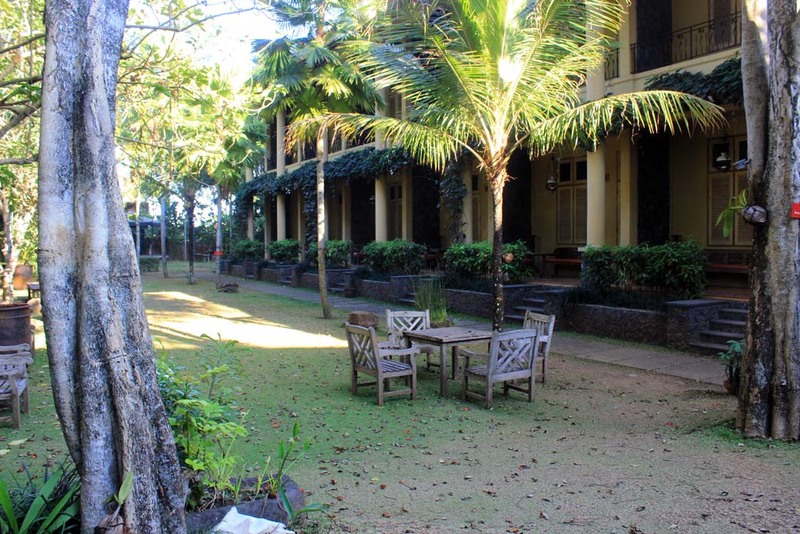 The hotel’s receptionist advising Omah Sinten which is located near one of the royal palaces in Solo. We decided to have a dinner over there. 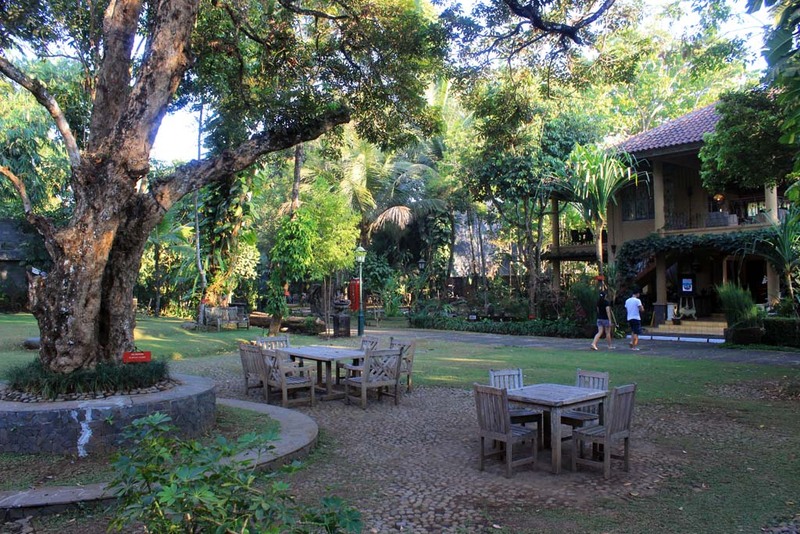 The meal was great, and the atmosphere was rustic traditional ones. While we enjoying our lunch, Stephen raising an issue which eventually led to the change of our itinerary from that night onwatd. 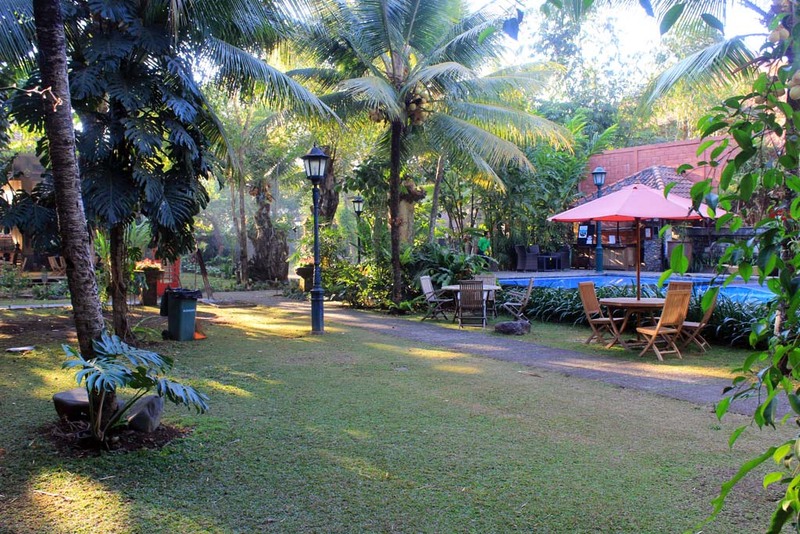 Stephen was asking whether if it was worth to have a long bumpy ride to Pemalang, and visiting Sumberharjo sugar mill? Because he had been informed those regular steams working on the mill have stopped. And even the field working have also ceased too. He suggesting that it might be wiser if we return back to the East again. Upon hearing that, I began to felt nervous. 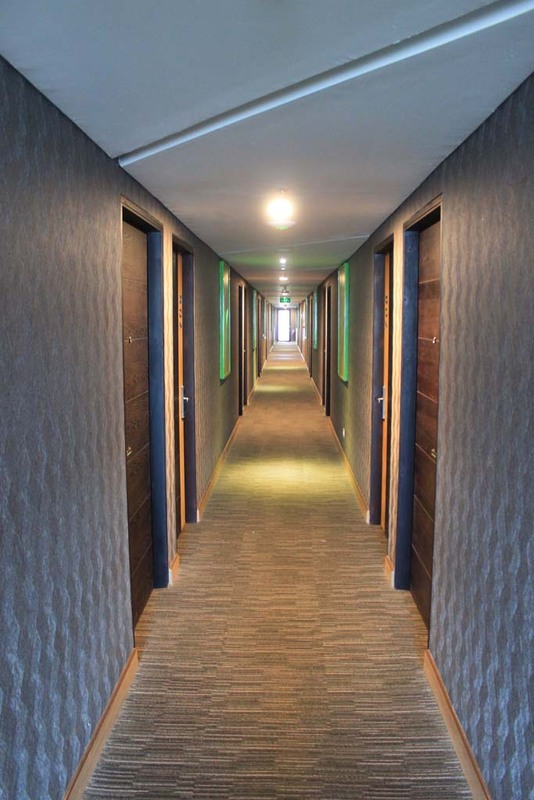 Would we be able to get rooms? 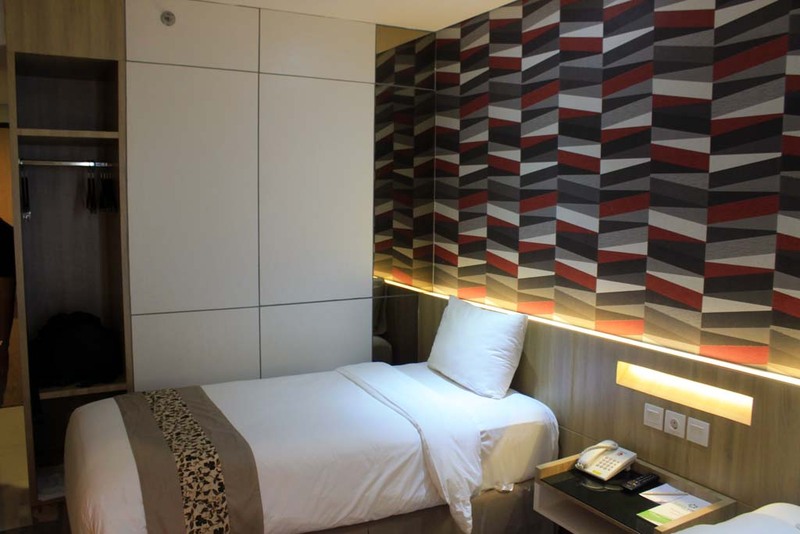 Is it possible to get refund from our hotel in Pemalang? 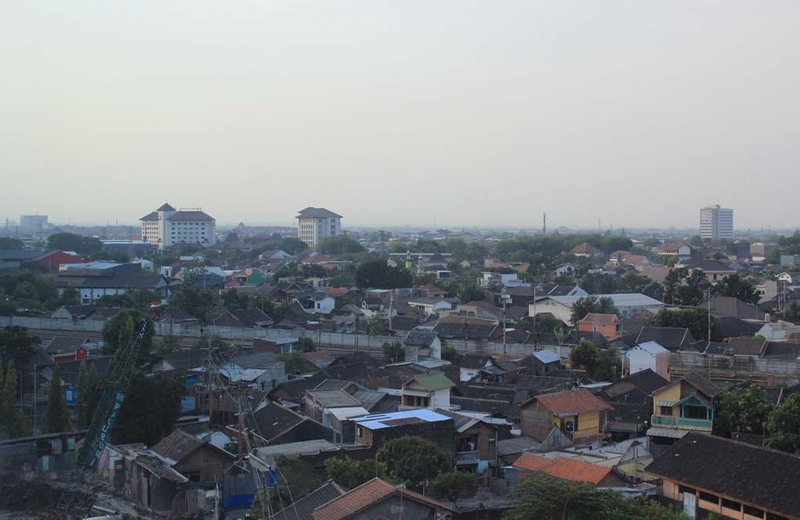 Rather than heading back to Surabaya too soon, I suggesting that we spending one night in Madiun then a night in Cepu. Stephen agreed with that, so as soon as we finished our meal we head back to the hotel immediately. Upon returning back to our room, I opened my laptop immediately and went online to check the hotel room availability. 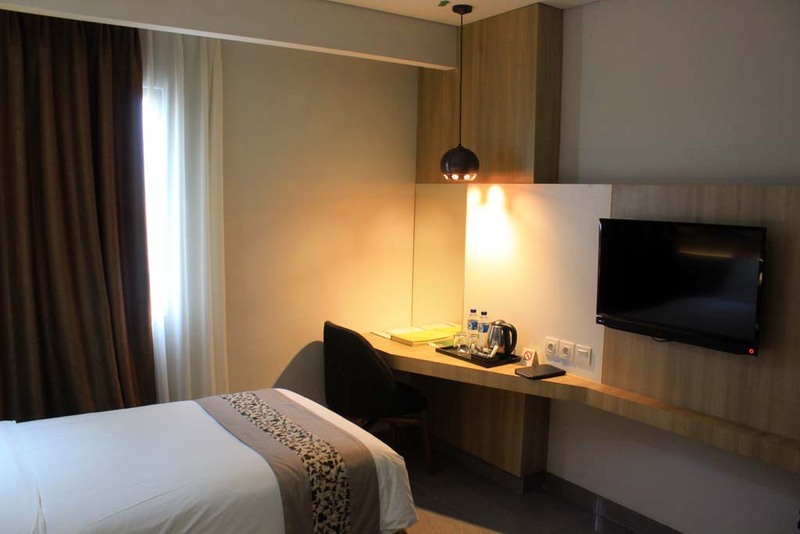 After some effort and research, I finally able to secure rooms in Aston Madiun and Grand Mega Resort Cepu. 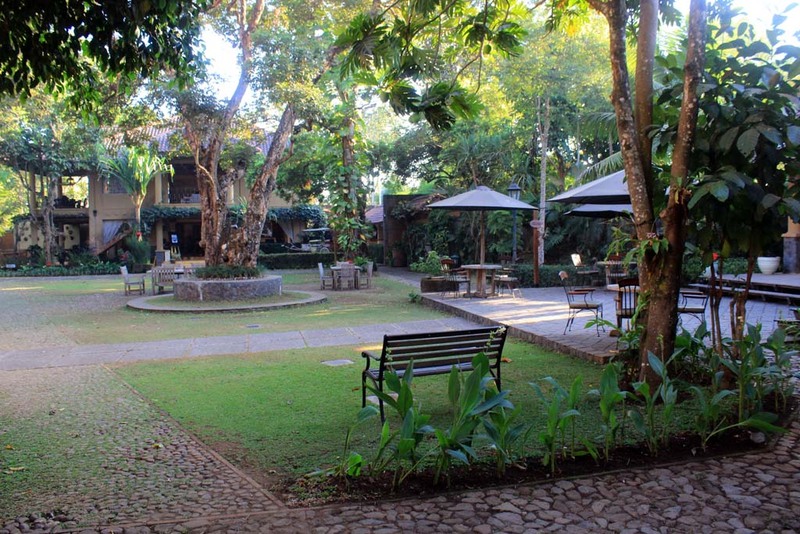 In addition, I was also able to get refund from our hotel in Pemalang. There is a small deduction, but not very significant. I reported my work result to Stephen, and he is pleased with that. So we can finally have a restful sleep tonight. I feel very relieved because aside of no longer having had to prepare myself for ultra long journey, we also have our matters settled and fixed.